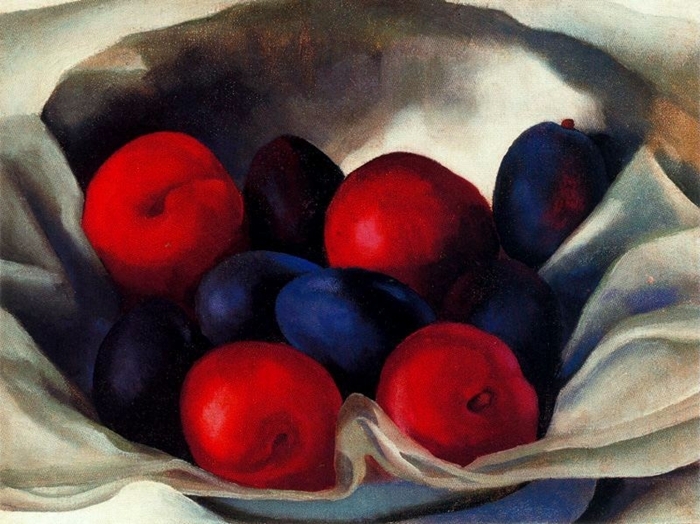 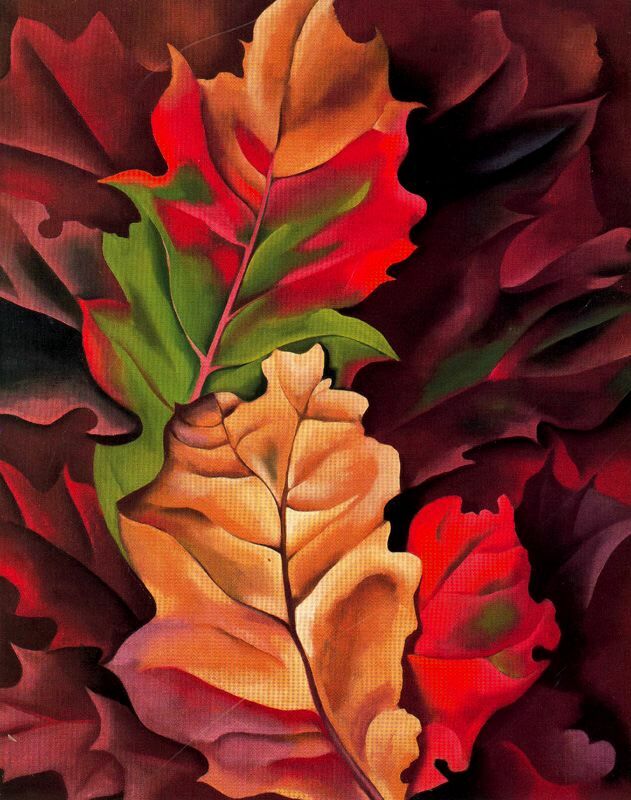 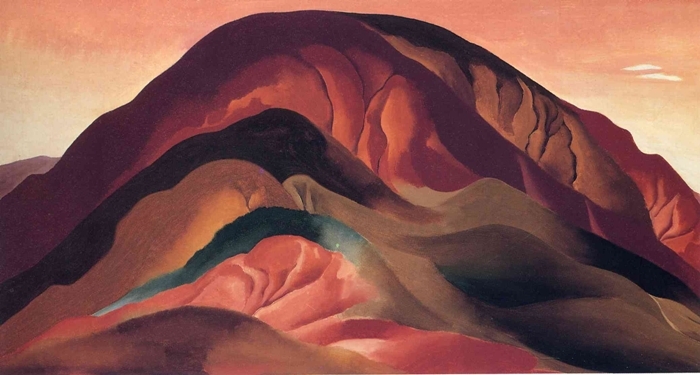 Georgia Totto O'Keeffe (1887-1986) was an American painter*. 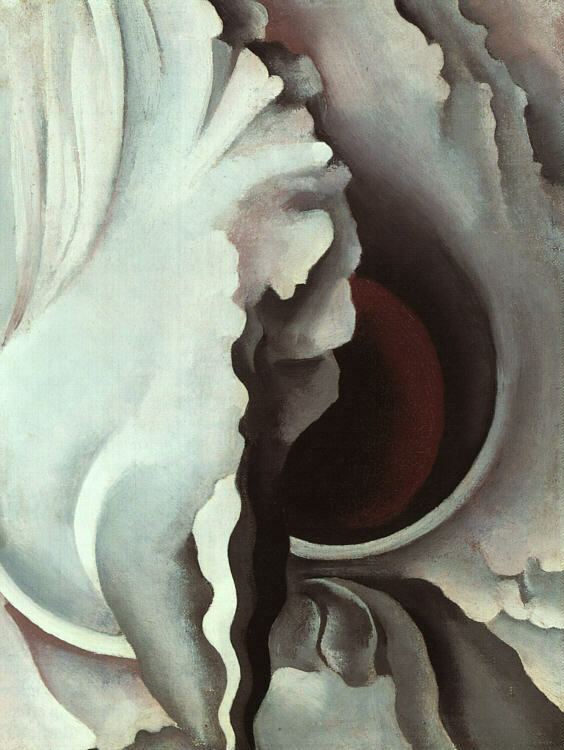 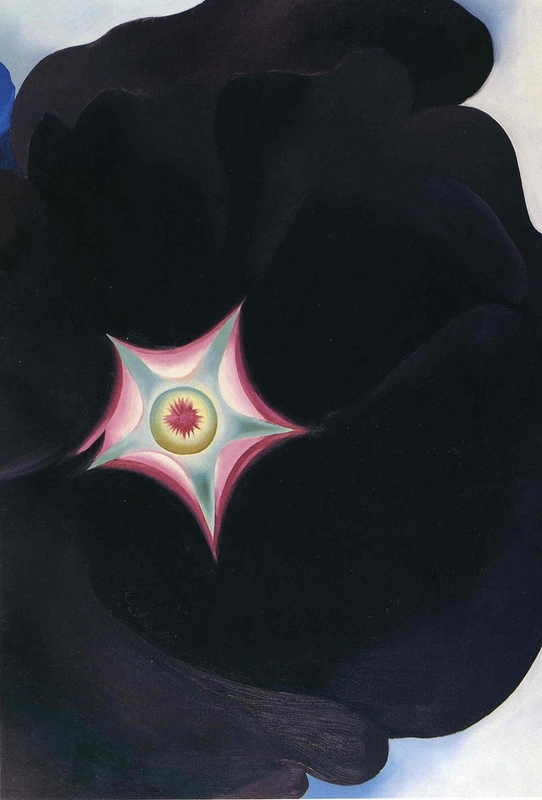 Born near Sun Prairie, Wisconsin, O'Keeffe first came to the attention of the New York art community in 1916. 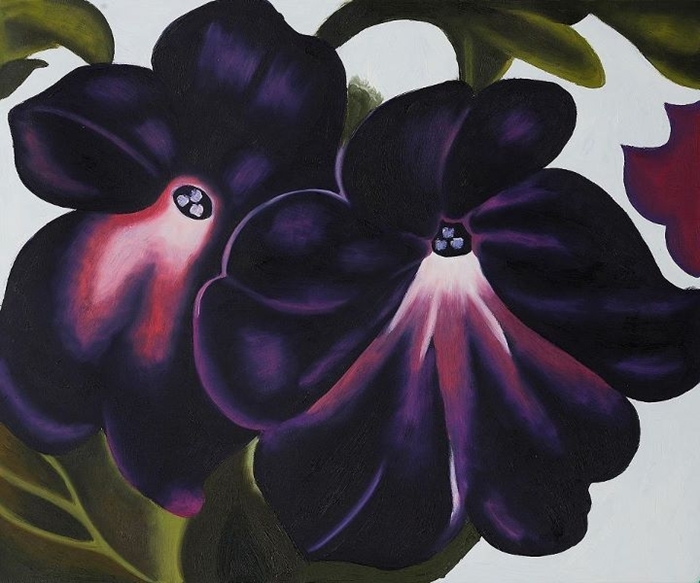 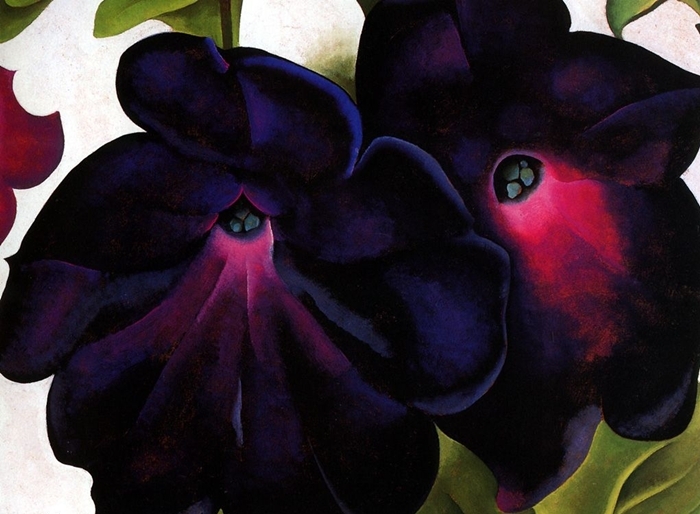 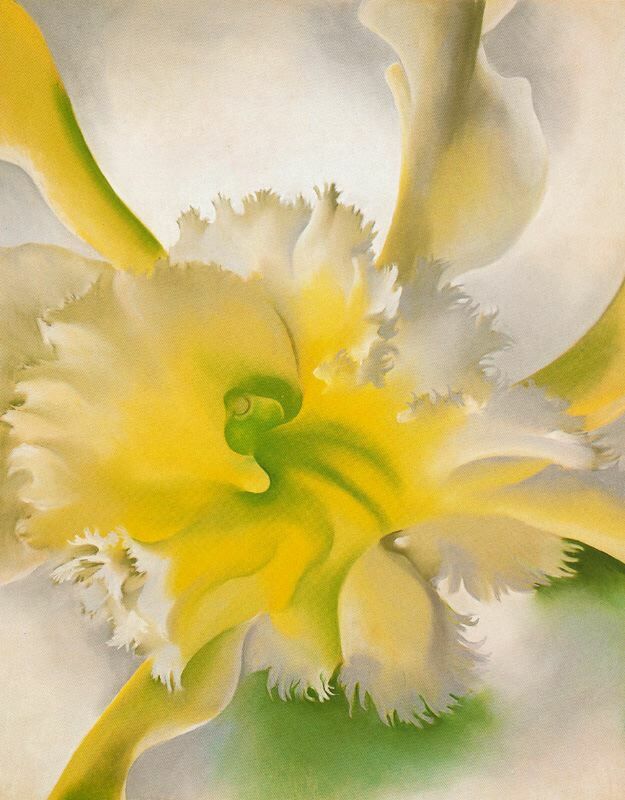 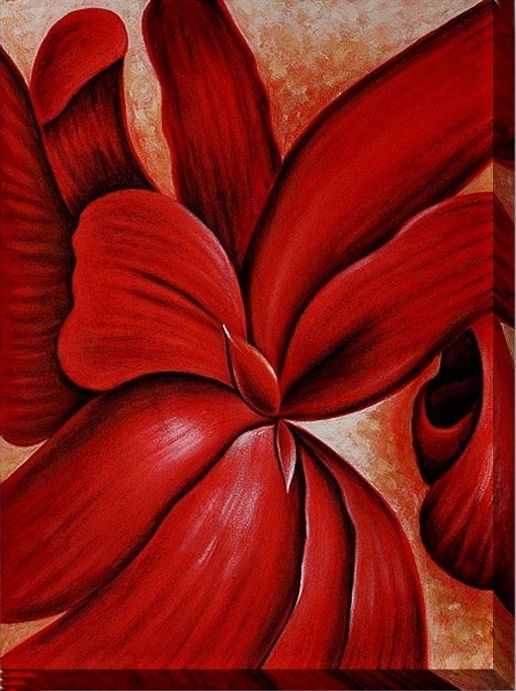 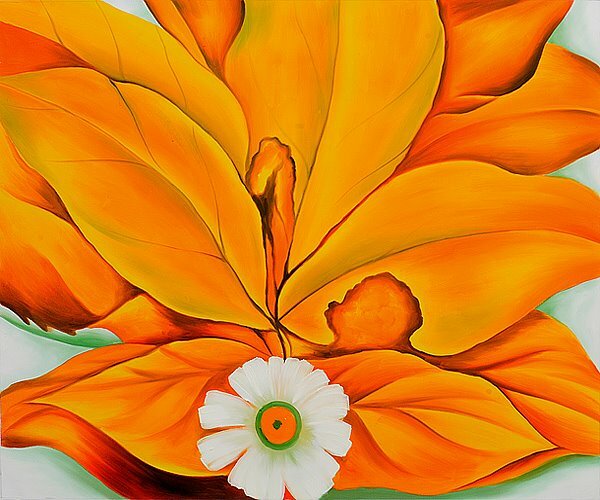 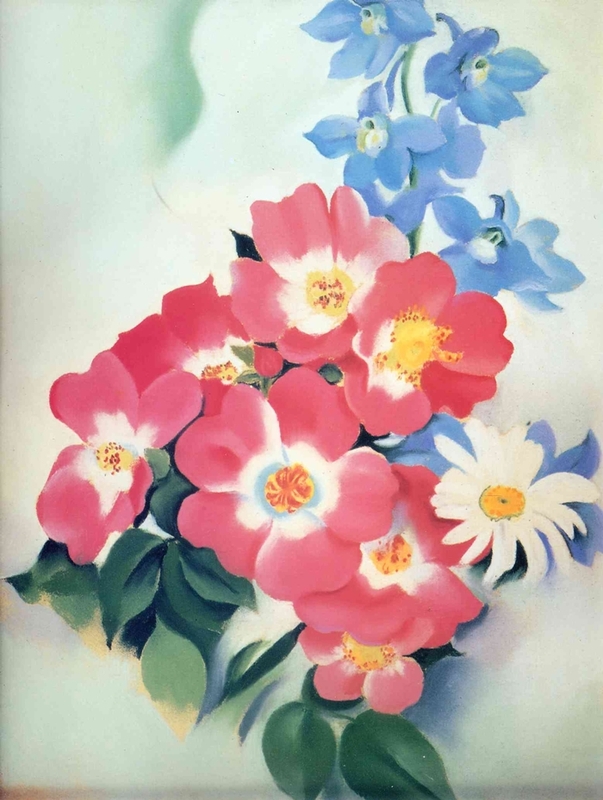 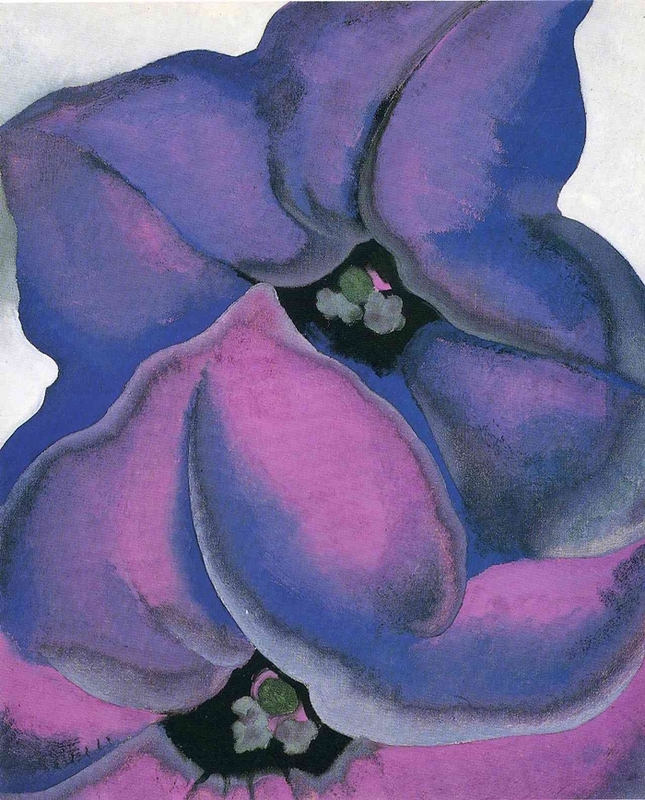 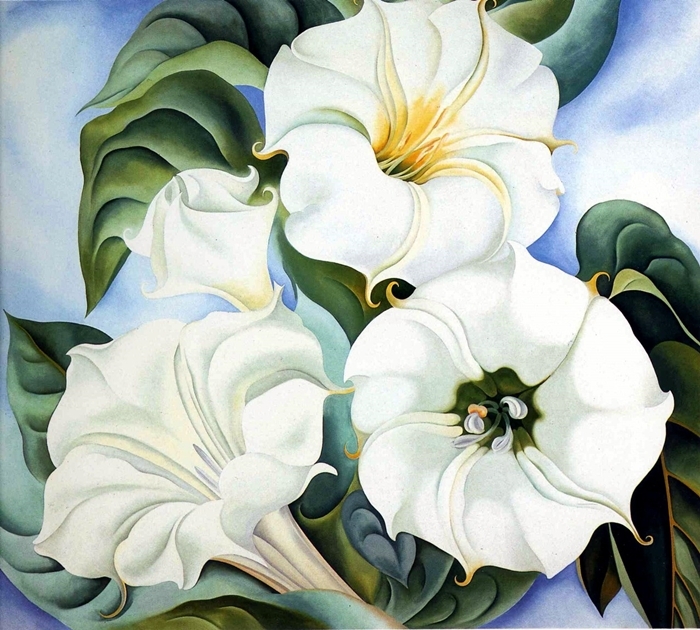 She made large-format paintings of enlarged blossoms, presenting them close up as if seen through a magnifying lens, and New York buildings, most of which date from the same decade. 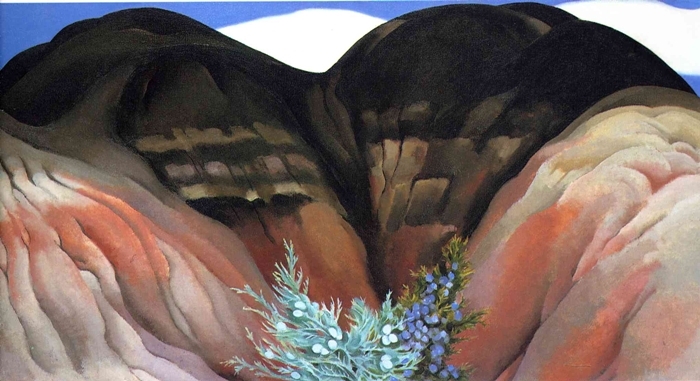 Beginning in 1929, when she began working part of the year in Northern New Mexico - which she made her permanent home in 1949 - O’Keeffe depicted subjects specific to that area. 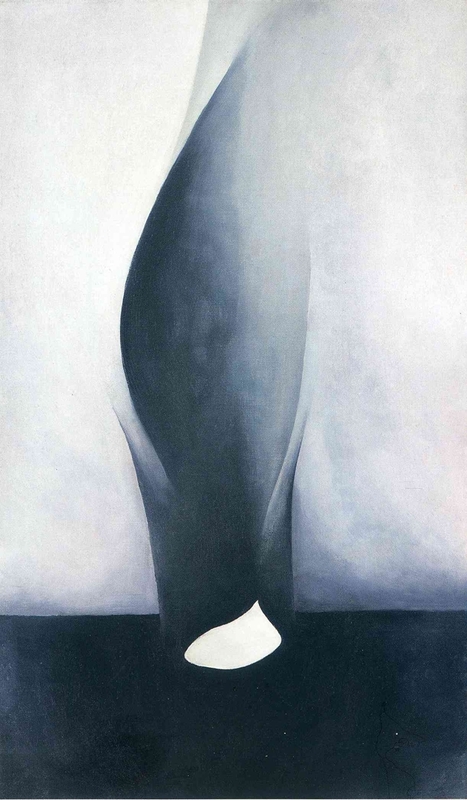 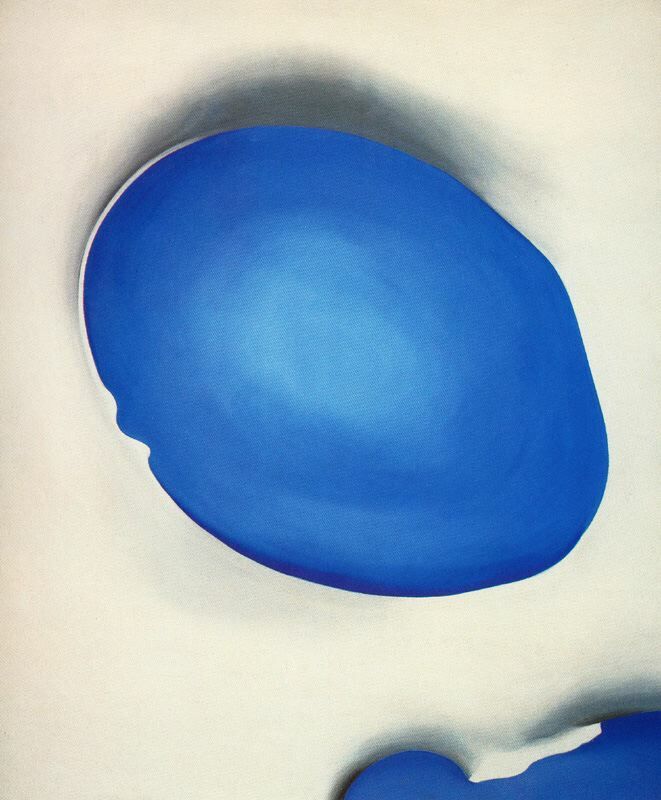 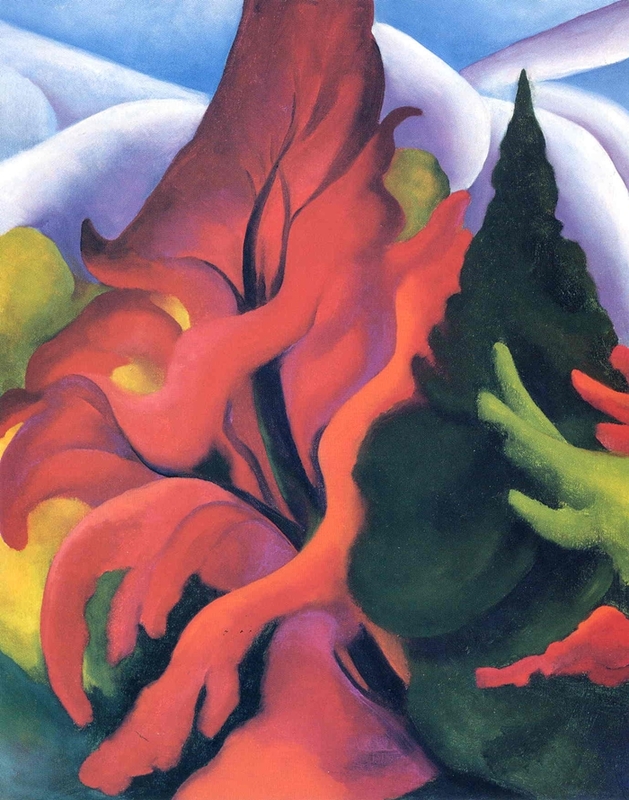 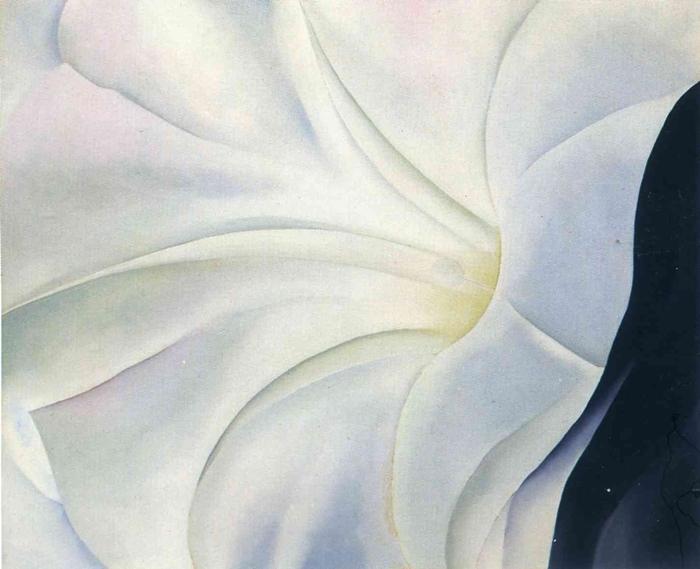 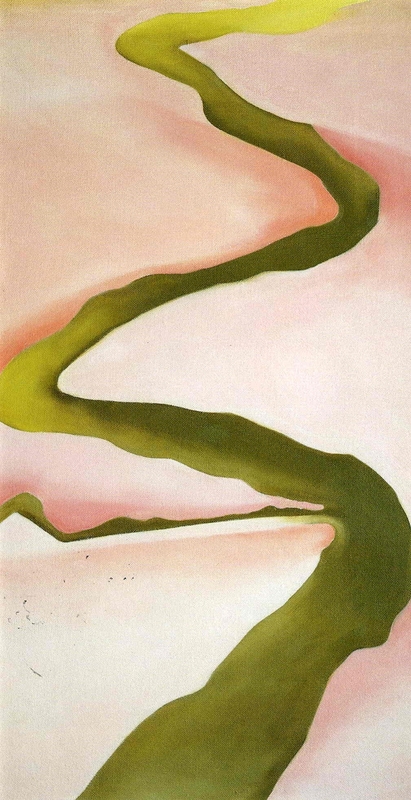 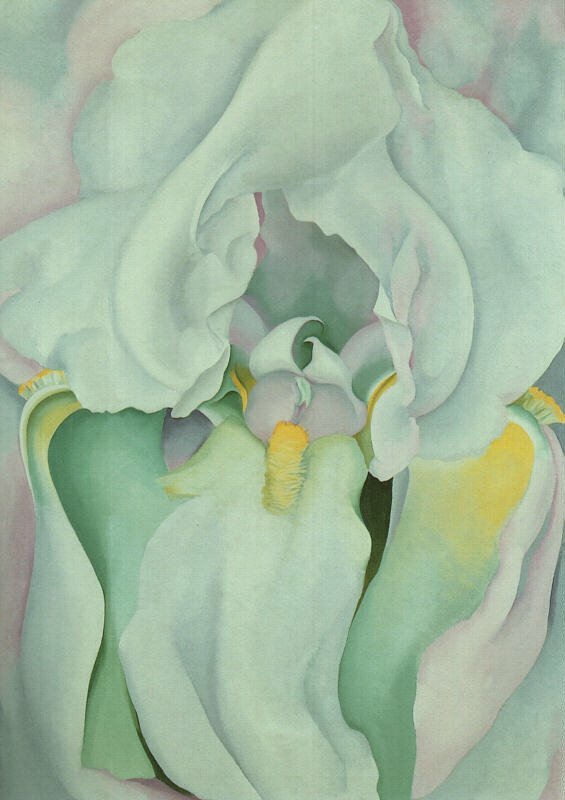 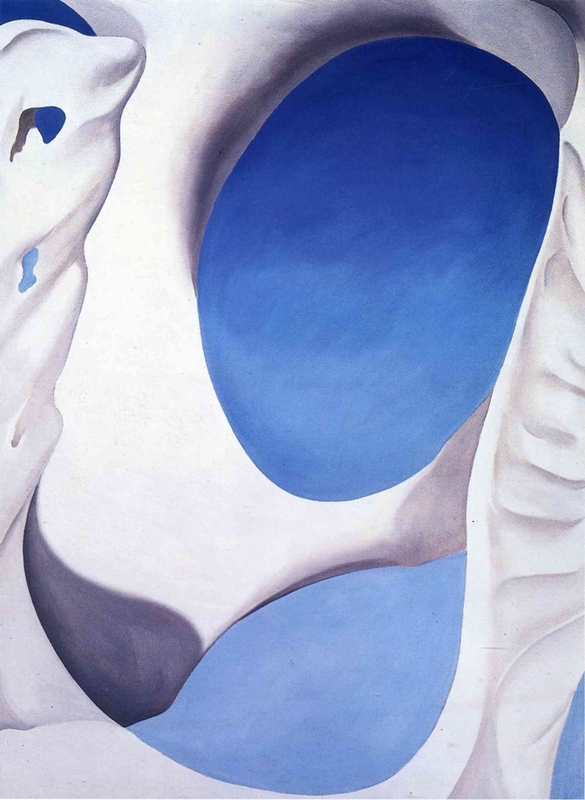 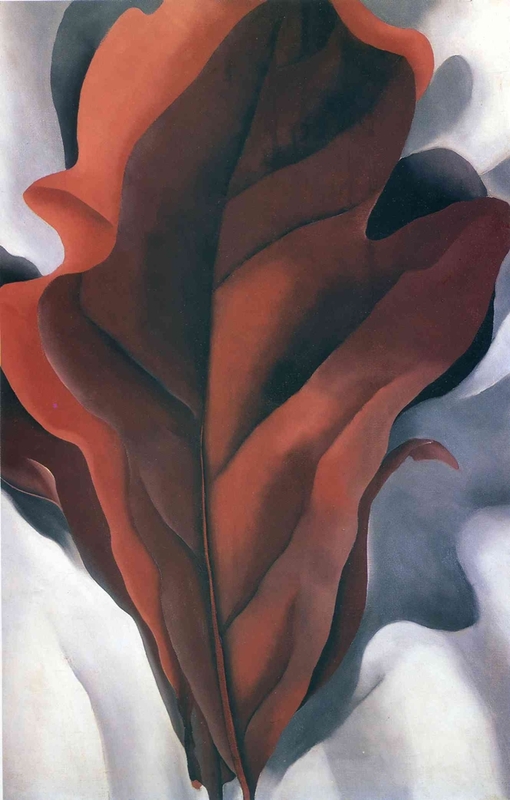 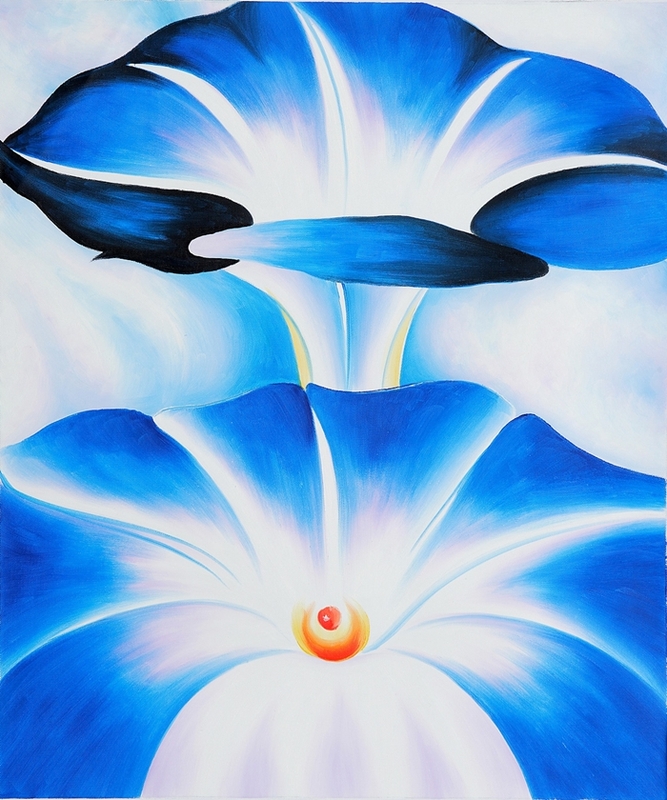 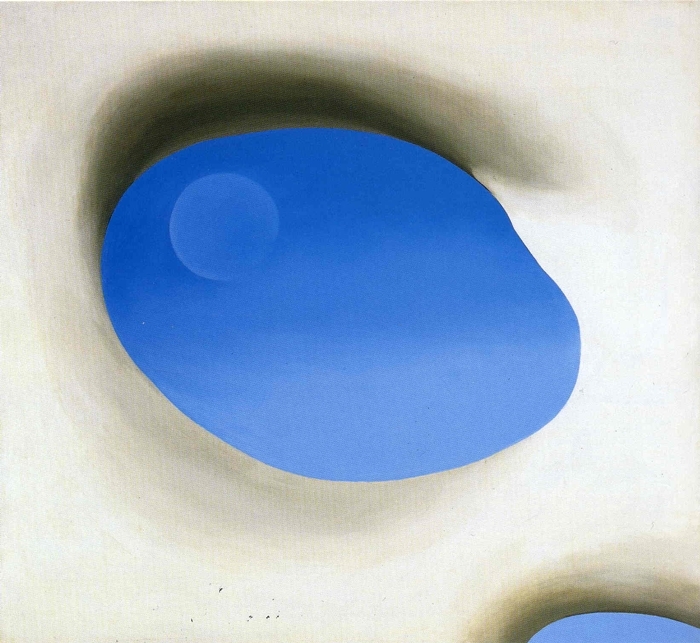 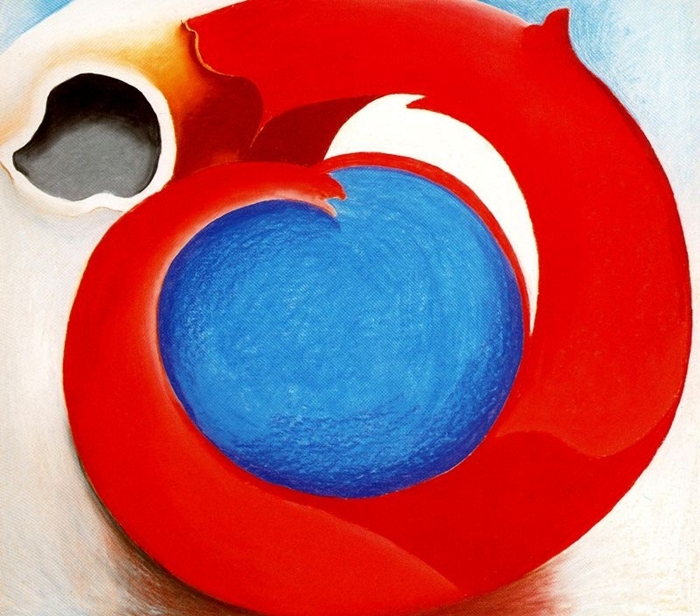 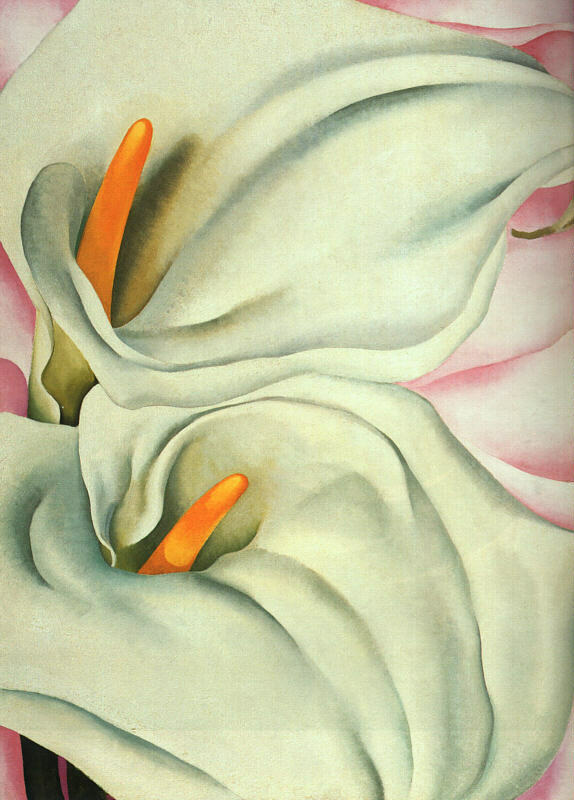 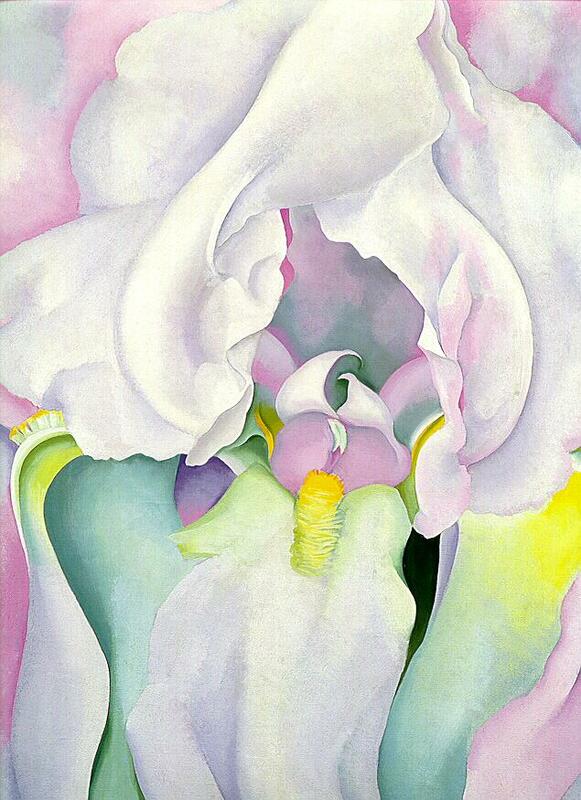 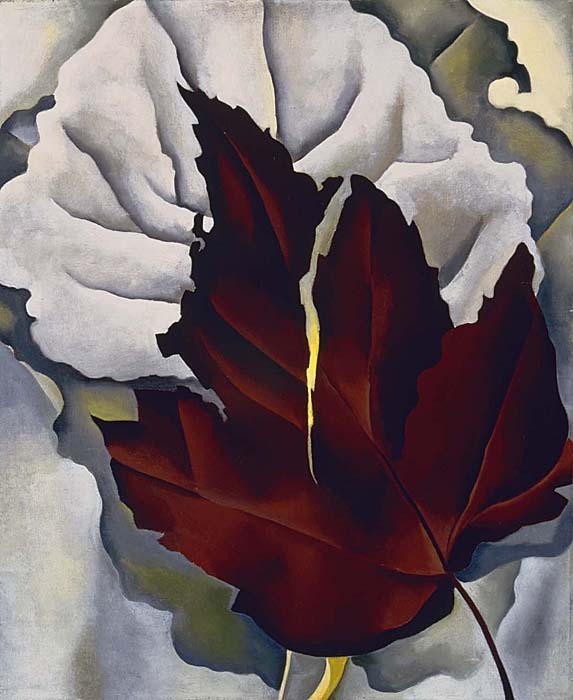 O'Keeffe has been recognized as the Mother of American Modernism. 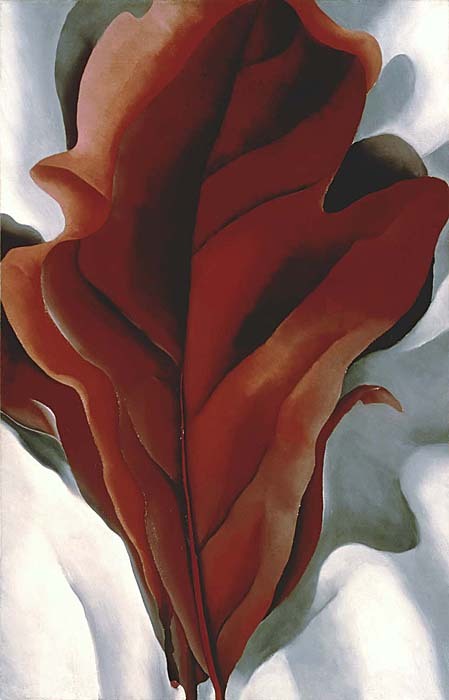 Georgia O'Keeffe was born on November 15, 1887, in a farmhouse near Sun Prairie, Wisconsin. 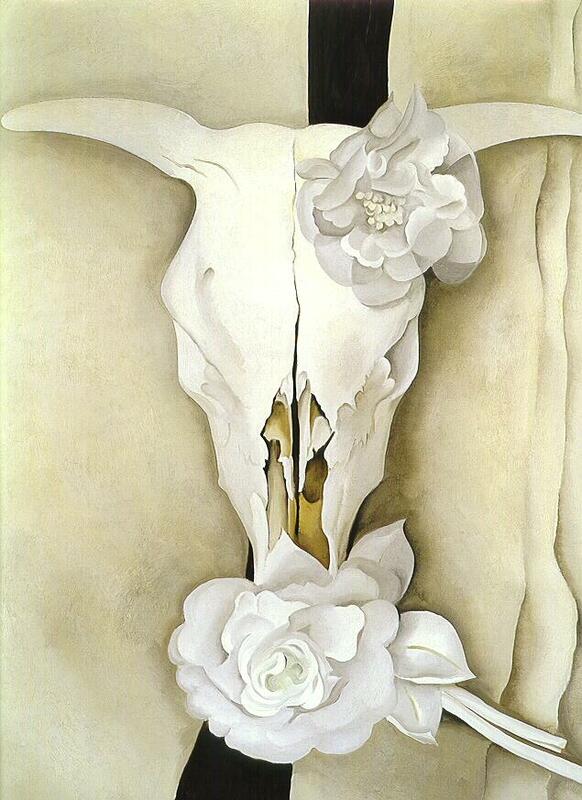 Her parents, Francis Calyxtus O'Keeffe and Ida (Totto) O'Keeffe, were dairy farmers. 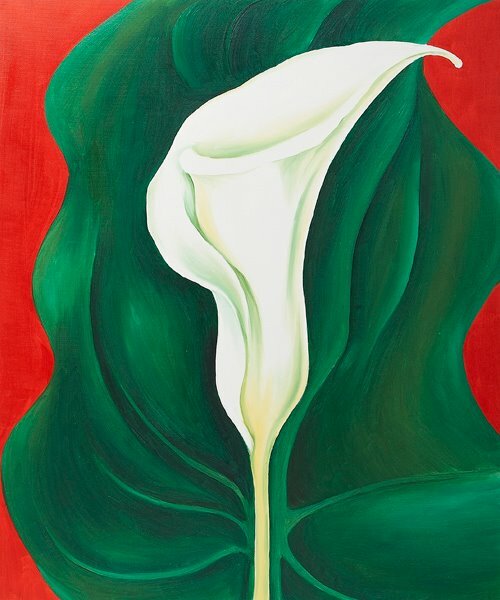 Her father was of Irish descent. 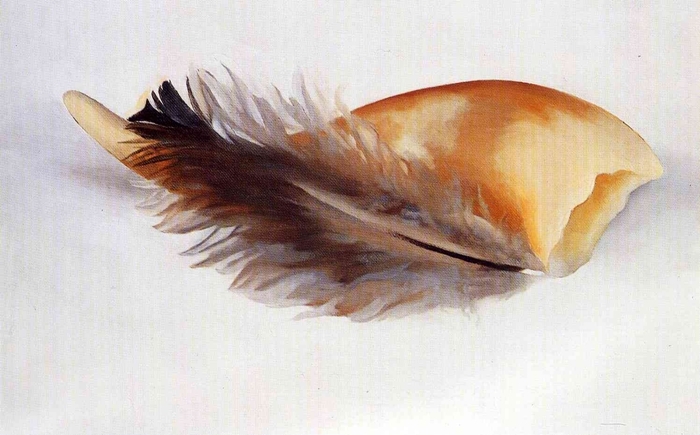 Her mother's father, George Victor Totto, for whom Georgia O'Keeffe was named, was a Hungarian count who came to America in 1848. 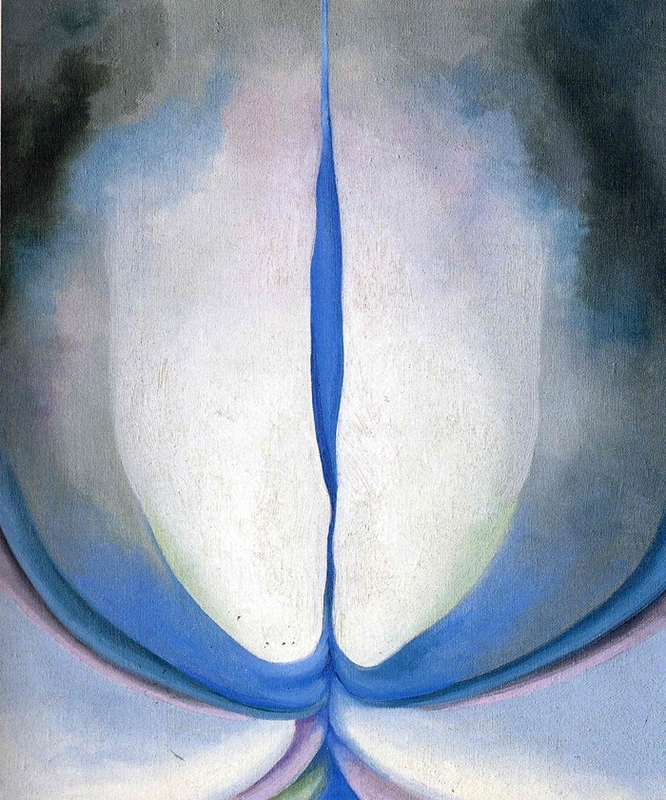 Georgia was the second of seven O'Keeffe children, and the first daughter. 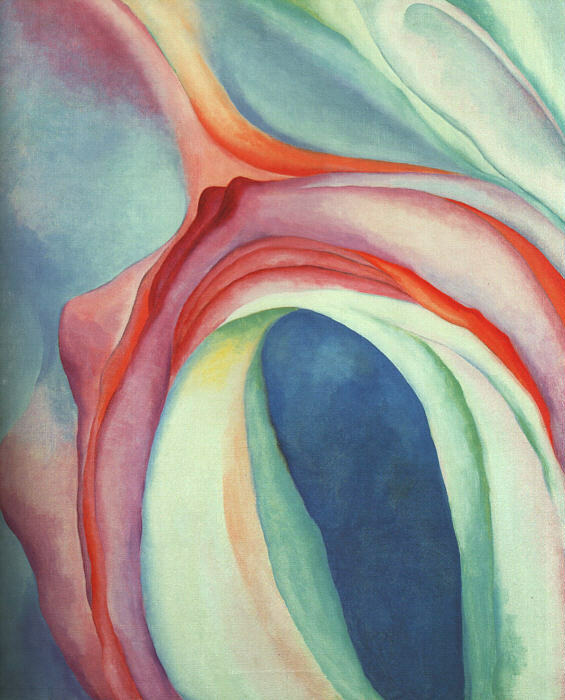 O'Keeffe attended Town Hall School in Sun Prairie. 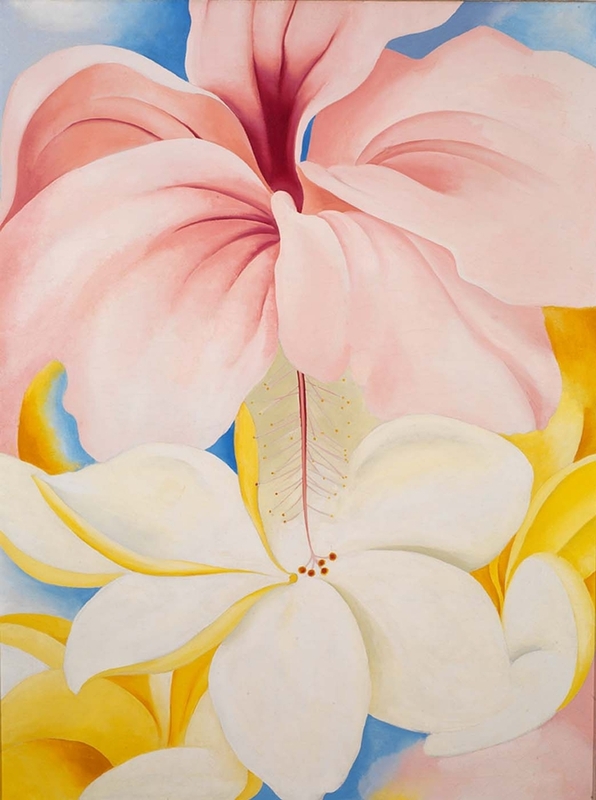 By age ten she had decided to become an artist, and she and her sister received art instruction from local watercolorist Sara Mann. 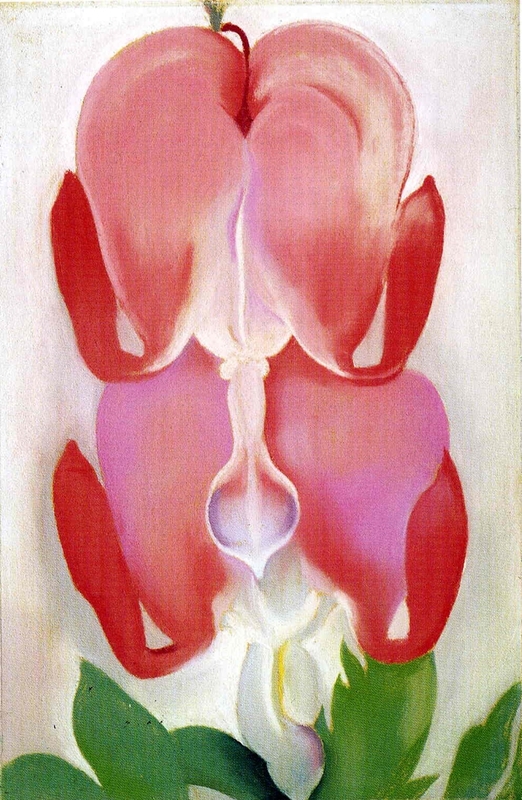 O'Keeffe attended high school at Sacred Heart Academy in Madison, Wisconsin, as a boarder between 1901-1902. 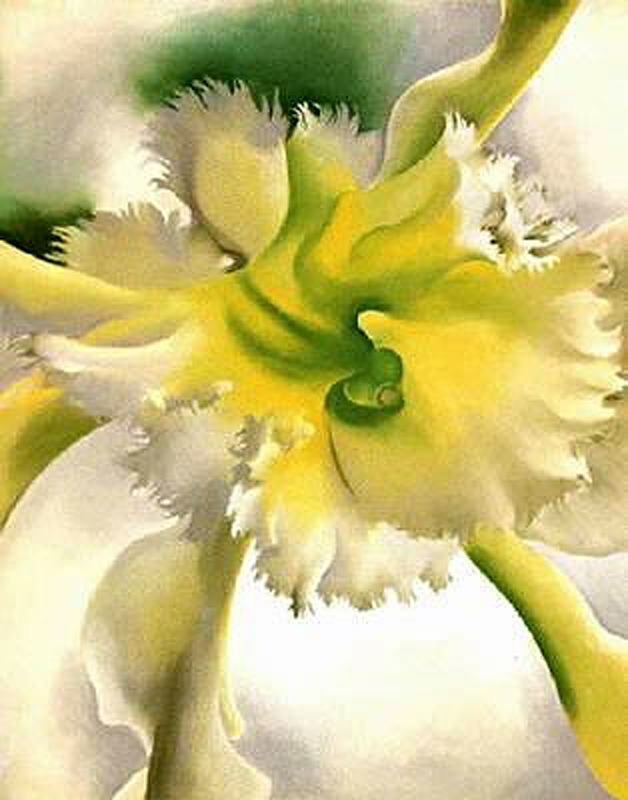 In Fall 1902 the O'Keeffes moved from Wisconsin to the close-knit neighborhood of Peacock Hill in Williamsburg, Virginia. 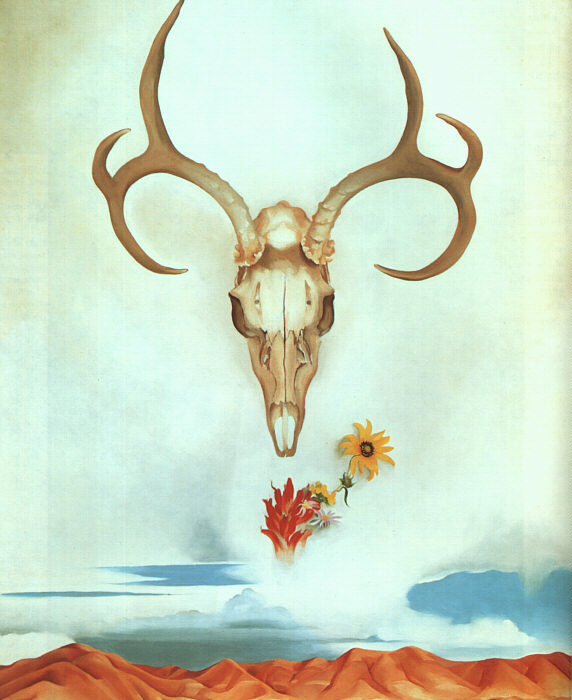 Georgia stayed in Wisconsin with her aunt and attended Madison High School, then joined her family in Virginia in 1903. 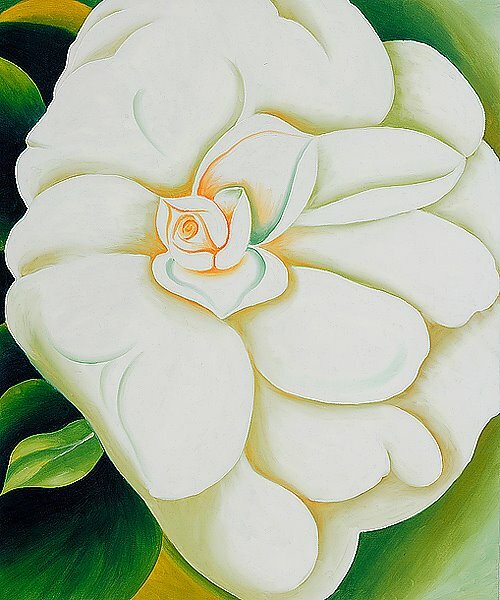 She completed high school as a boarder at Chatham Episcopal Institute in Virginia (now Chatham Hall), and graduated in 1905. 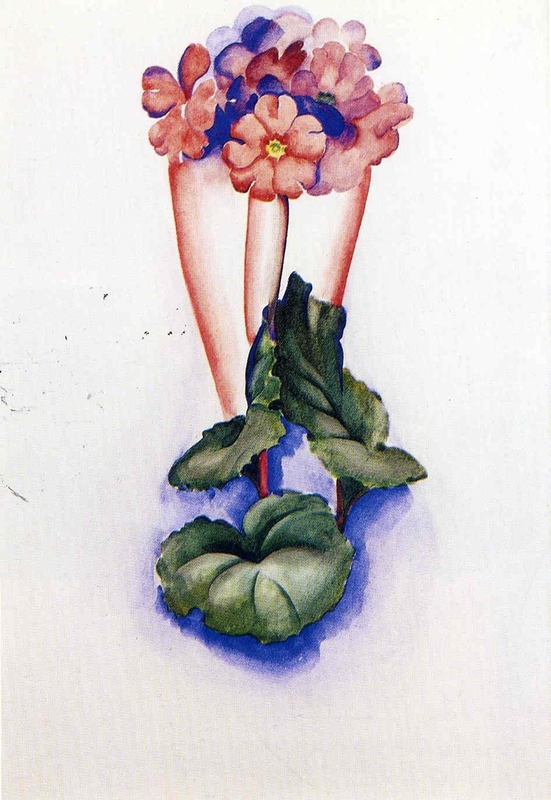 She was a member of Kappa Delta. 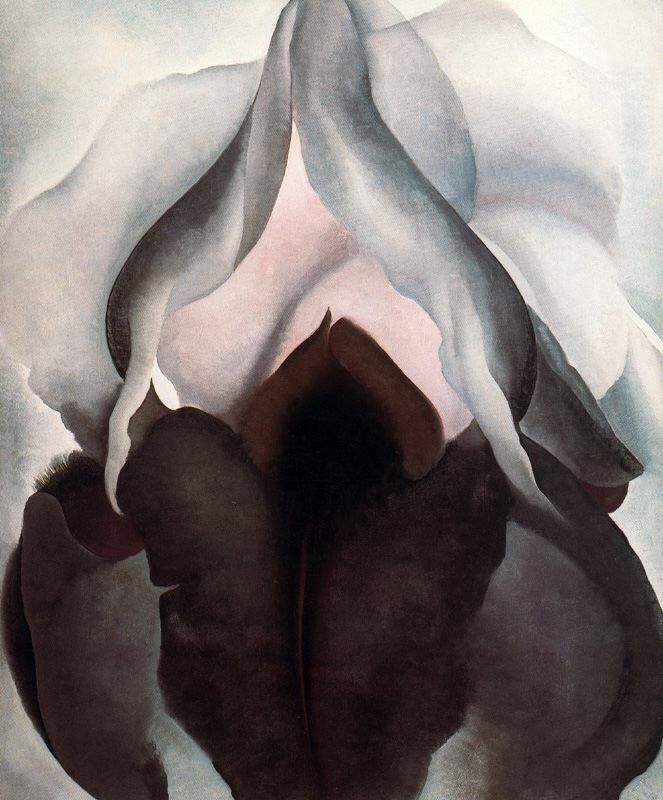 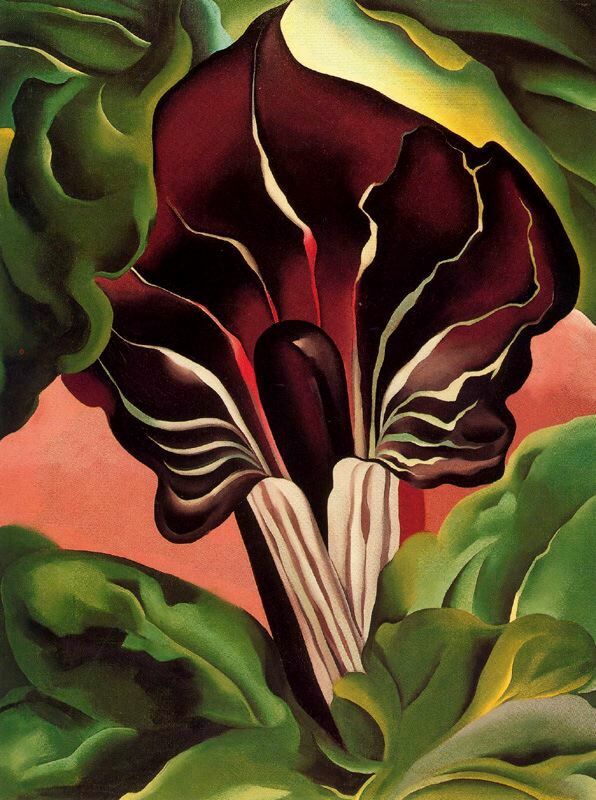 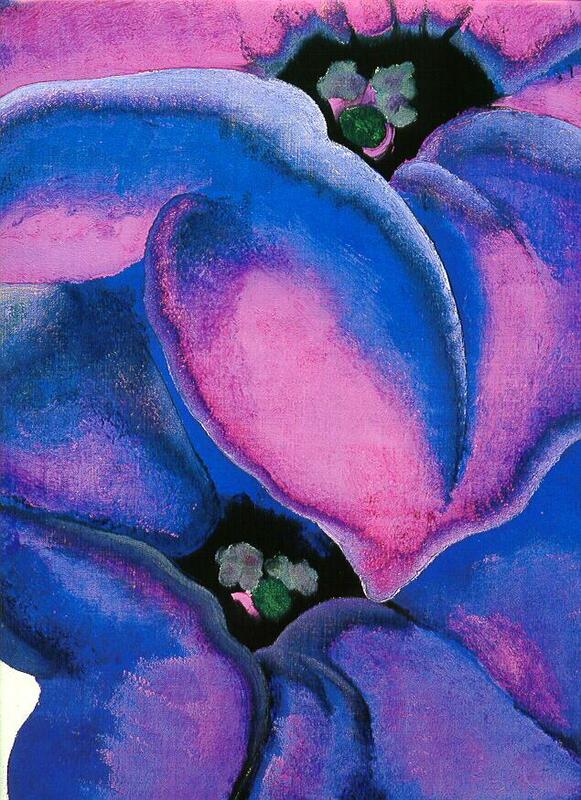 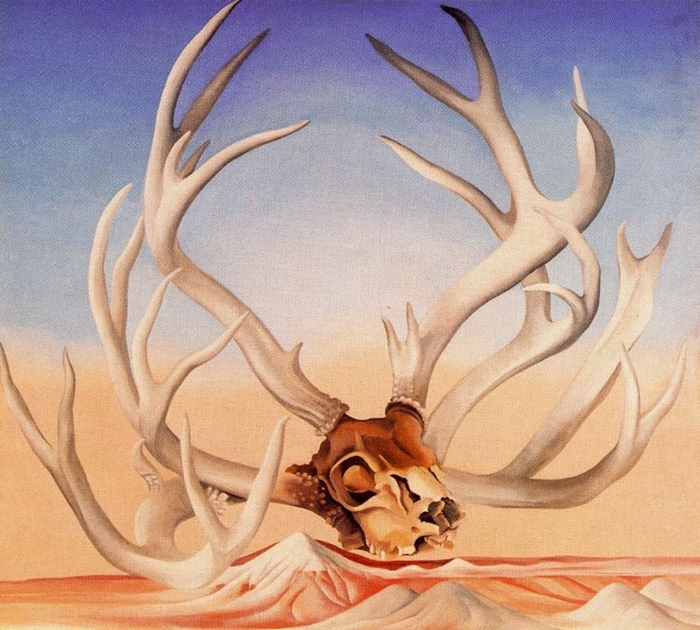 O'Keeffe studied at the School of the Art Institute of Chicago from 1905 to 1906. 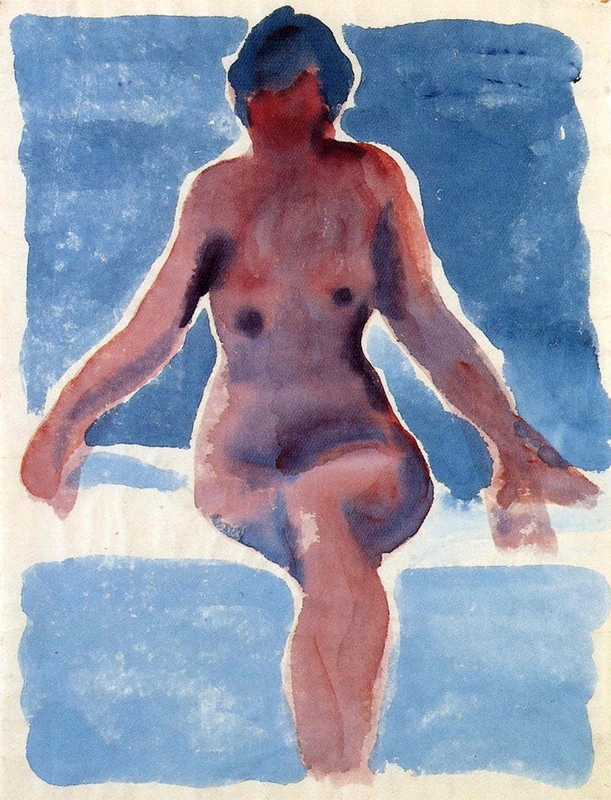 In 1907, she attended the Art Students League in New York City, where she studied under William Merritt Chase. 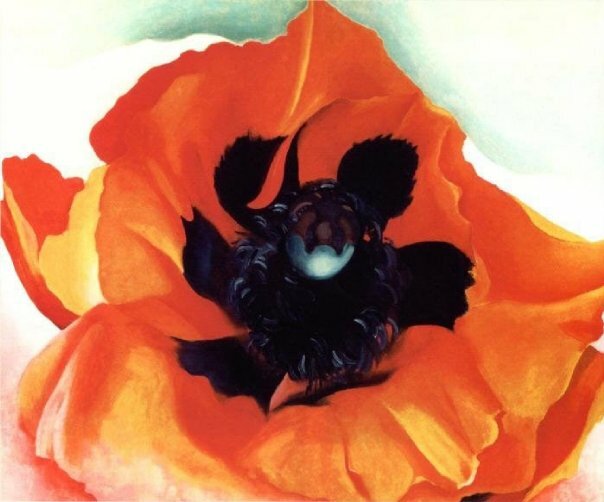 In 1908, she won the League's William Merritt Chase still-life prize for her oil painting Dead Rabbit with Copper Pot. Her prize was a scholarship to attend the League's outdoor summer school at Lake George, New York. 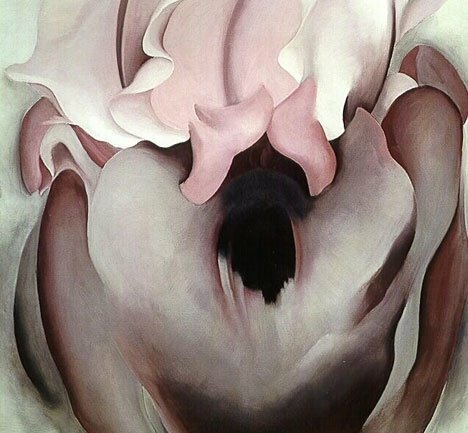 While in the city in 1908, O'Keeffe attended an exhibition of Rodin's watercolors at the 291, owned by her future husband, photographer Alfred Stieglitz. 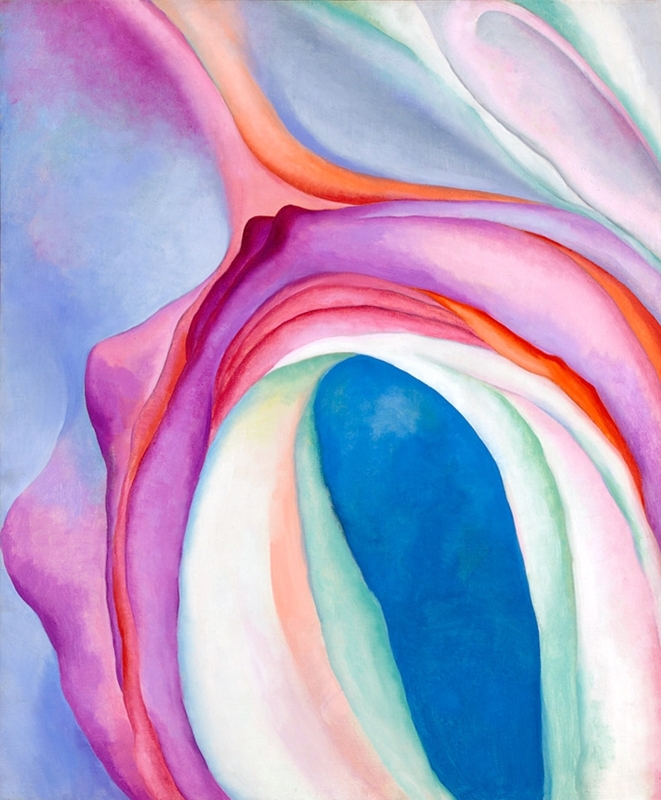 O'Keeffe abandoned the idea of pursuing a career as an artist in the fall of 1908, claiming that she could never distinguish herself as an artist within the mimetic tradition, which had formed the basis of her art training. She took a job in Chicago as a commercial artist. 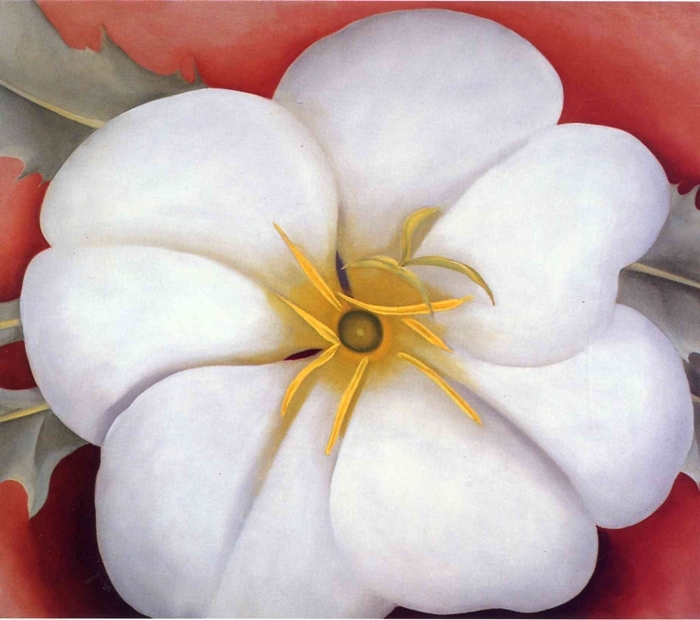 She did not paint for four years, and said that the smell of turpentine made her sick. 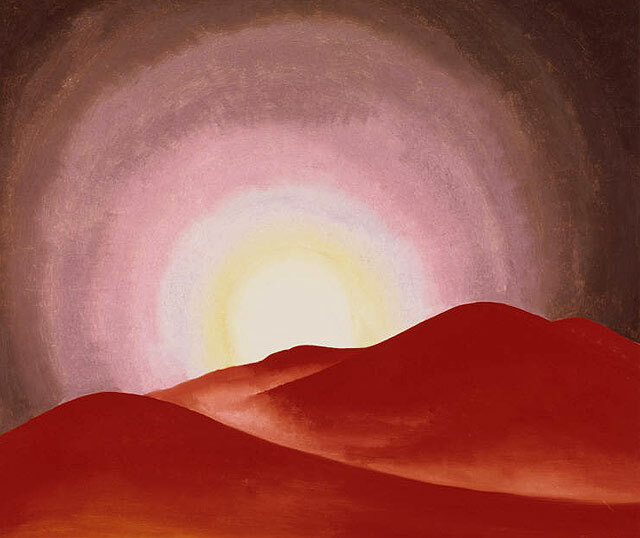 She was inspired to paint again in 1912, when she attended a class at the University of Virginia Summer School, where she was introduced to the innovative ideas of Arthur Wesley Dow by Alon Bement. 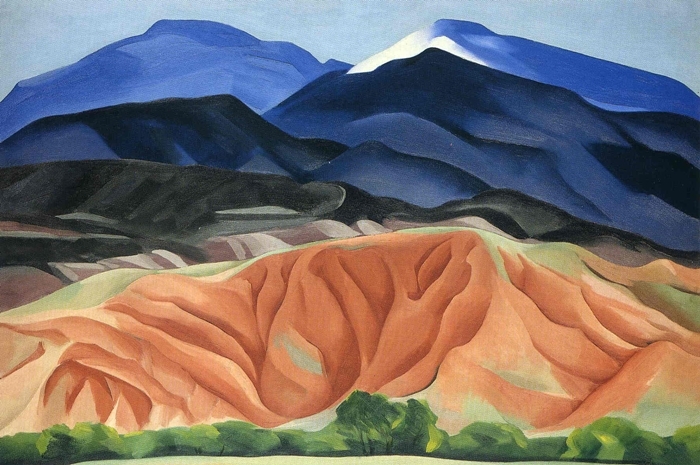 Dow encouraged artists to express themselves using line, color, and shading harmoniously. 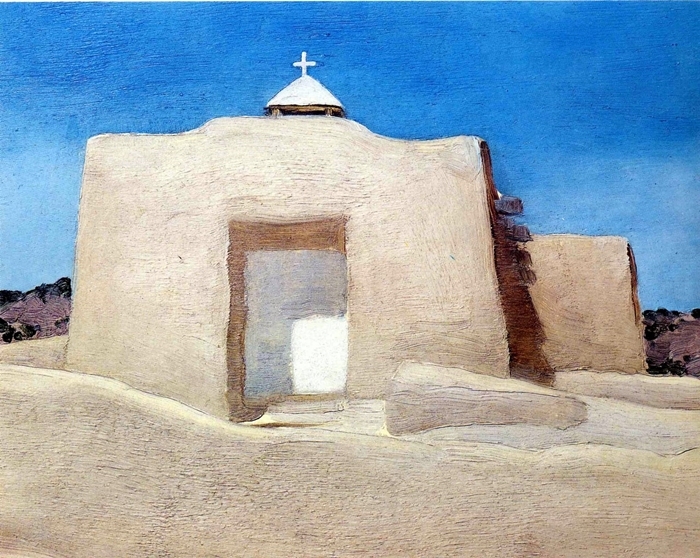 From 1912-14, she taught art in the public schools in Amarillo in the Texas Panhandle. 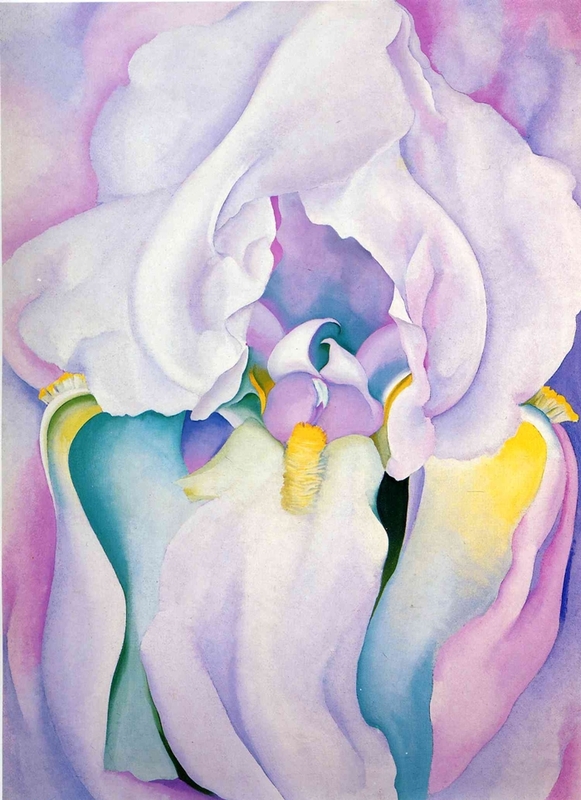 She attended Teachers College of Columbia University from 1914-15, where she took classes from Dow, who greatly influenced O'Keeffe's thinking about the process of making art. 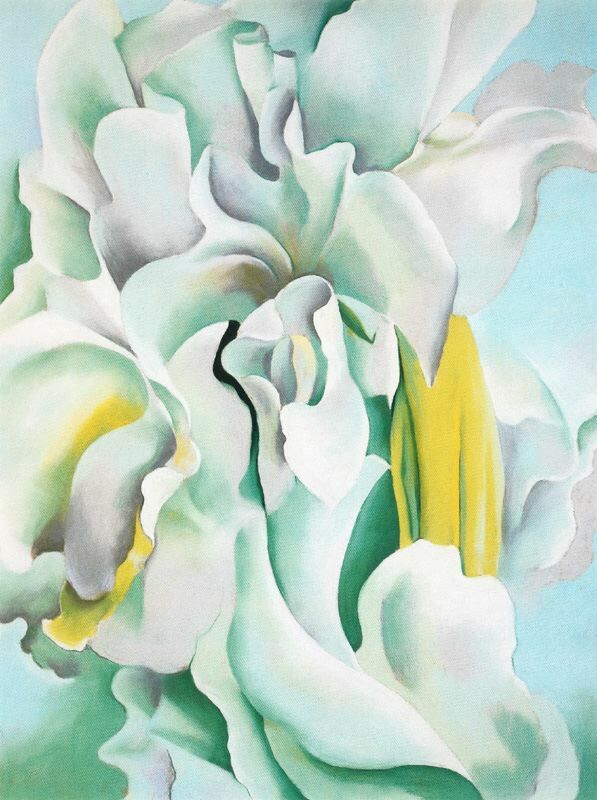 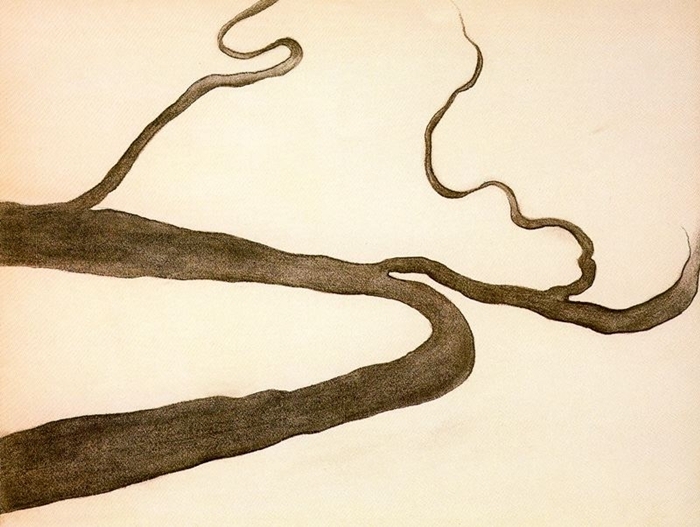 She served as a teaching assistant to Bement during the summer from 1913-16 and taught at Columbia College, Columbia, South Carolina in the fall of 1915, where she completed a series of highly innovative charcoal abstractions. 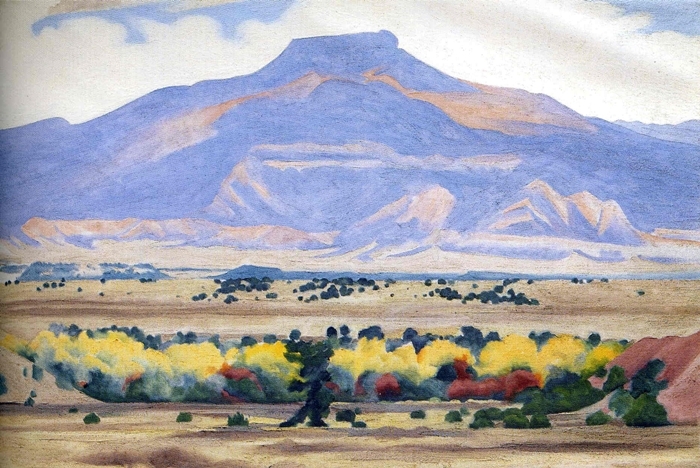 After further course work at Columbia in the spring of 1916 and summer teaching for Bement, she took a job as head of the art department at West Texas State Normal College from fall 1916 to February 1918, the fledgling West Texas A&M University in Canyon just south of Amarillo. 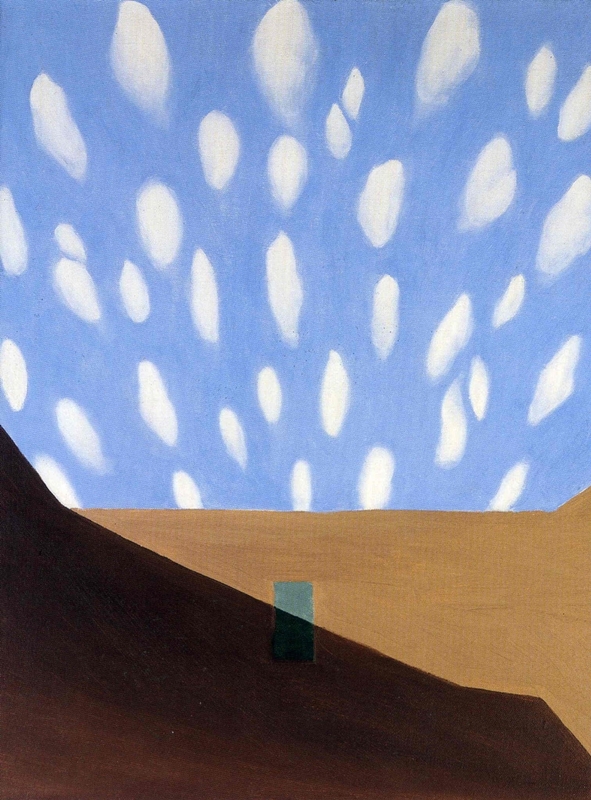 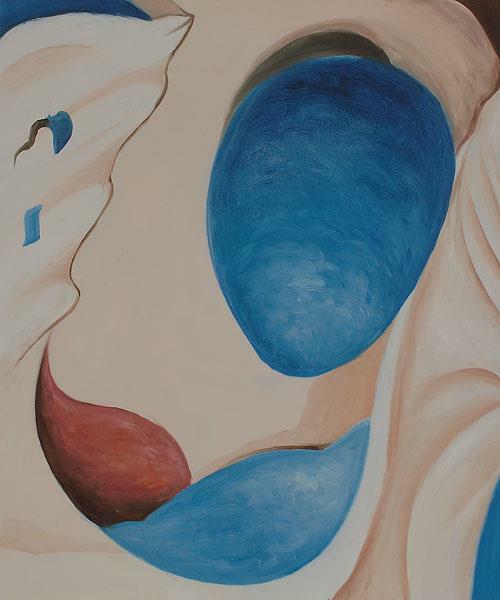 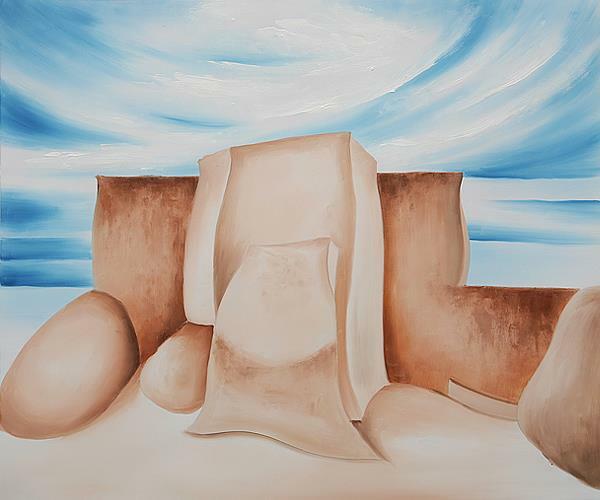 While there, she often visited the Palo Duro Canyon, making its forms a subject in her work. 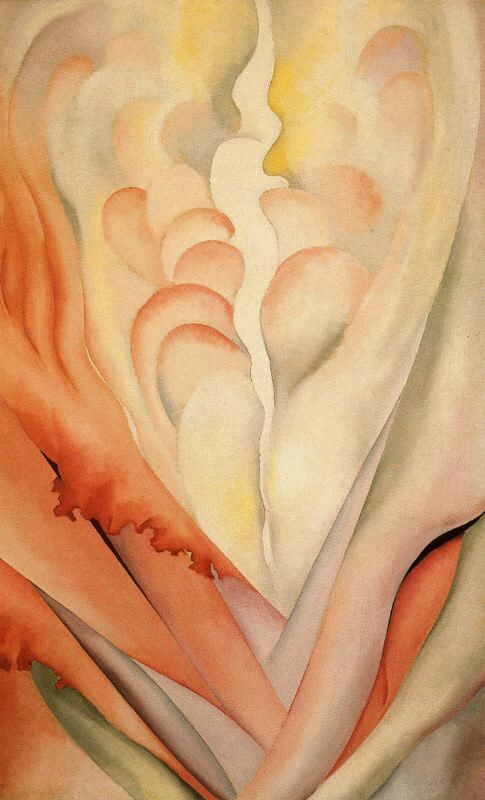 O'Keeffe found an advocate in famed photographer and gallery owner Alfred Stieglitz. 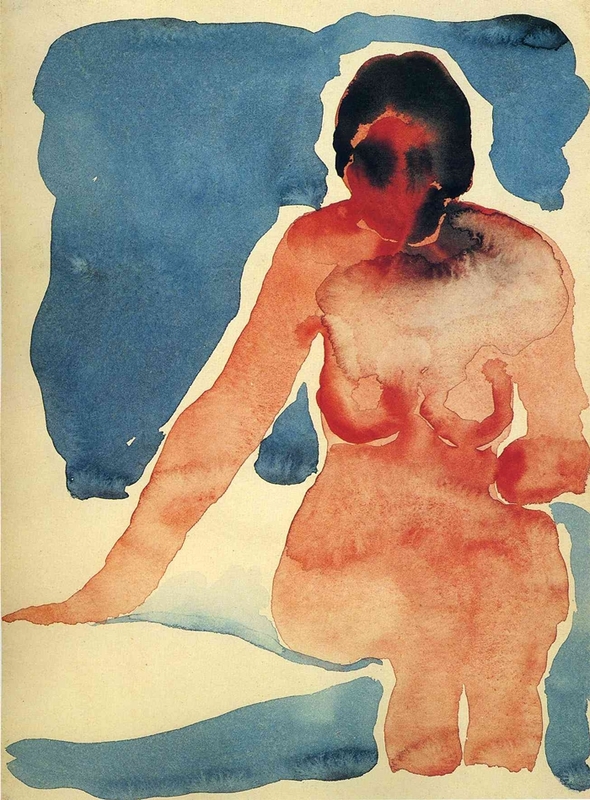 He showed her work to the public for the first time in 1916 at his gallery 291. 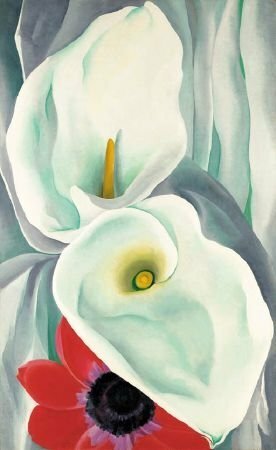 Married in 1924, the two formed a professional and personal partnership that lasted until his death in 1946. 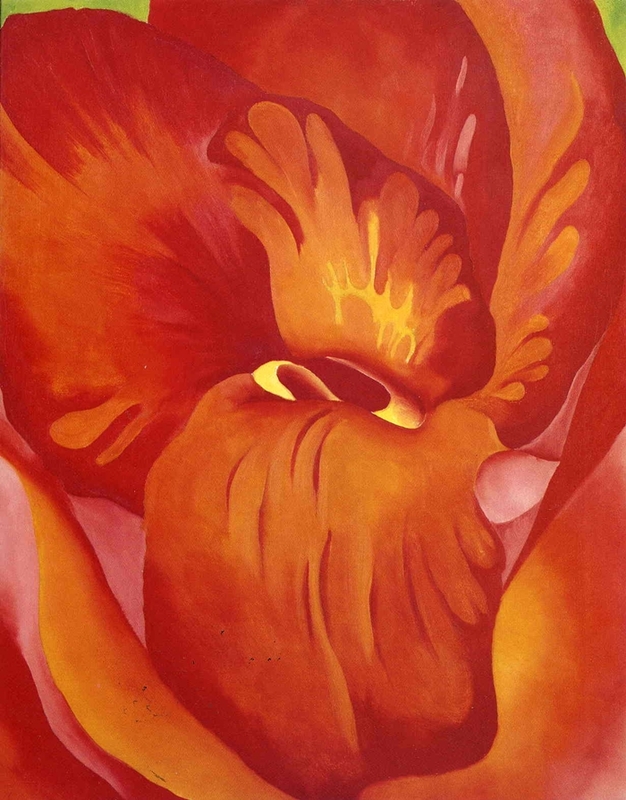 Some of her popular works from this early period include Black Iris, 1926 and Oriental Poppies (1928). 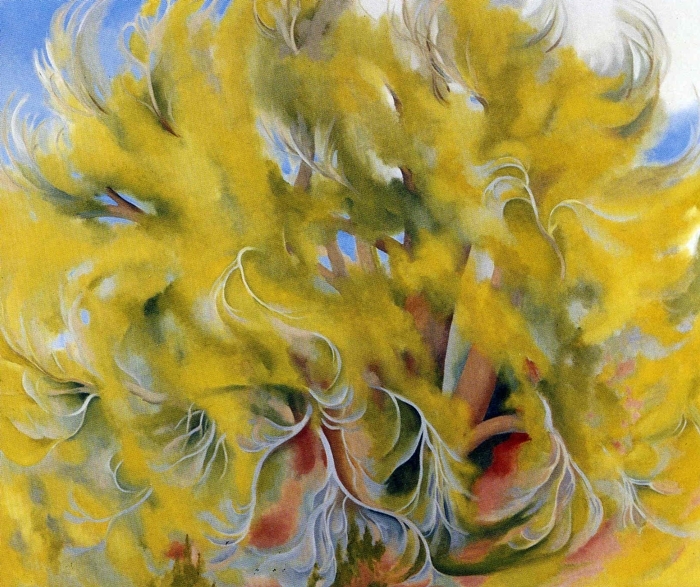 Living in New York, she translated some of her environment onto the canvas with such paintings as Shelton Hotel, N.Y. No. 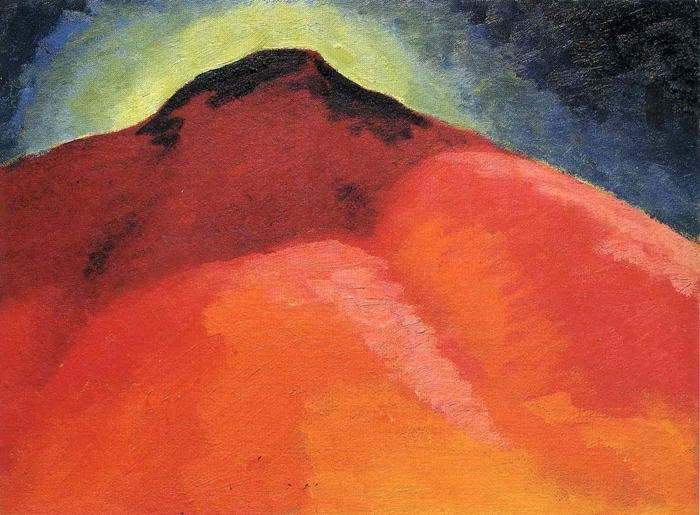 1 (1926). 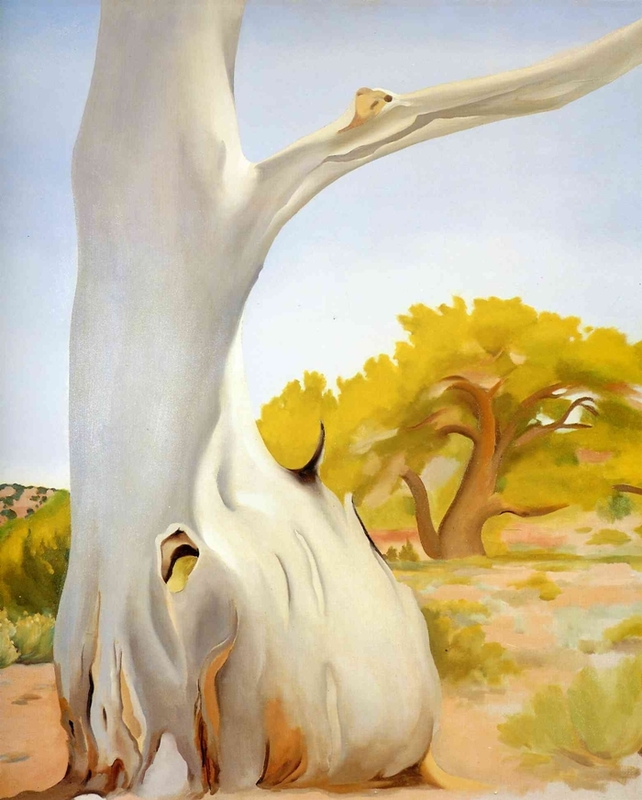 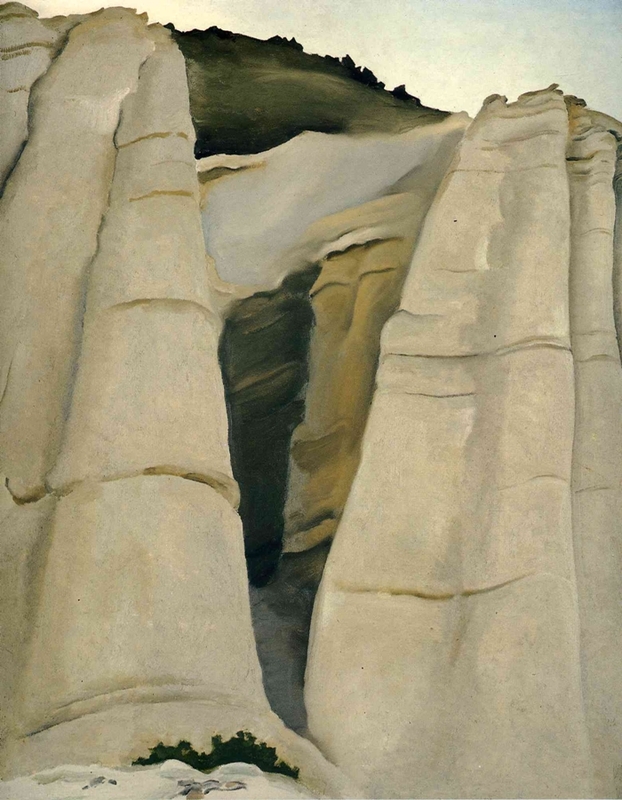 After frequently visiting New Mexico since the late 1920s, O'Keeffe moved there for good in 1946 after her husband’s death and explored the area's rugged landscapes in many works. 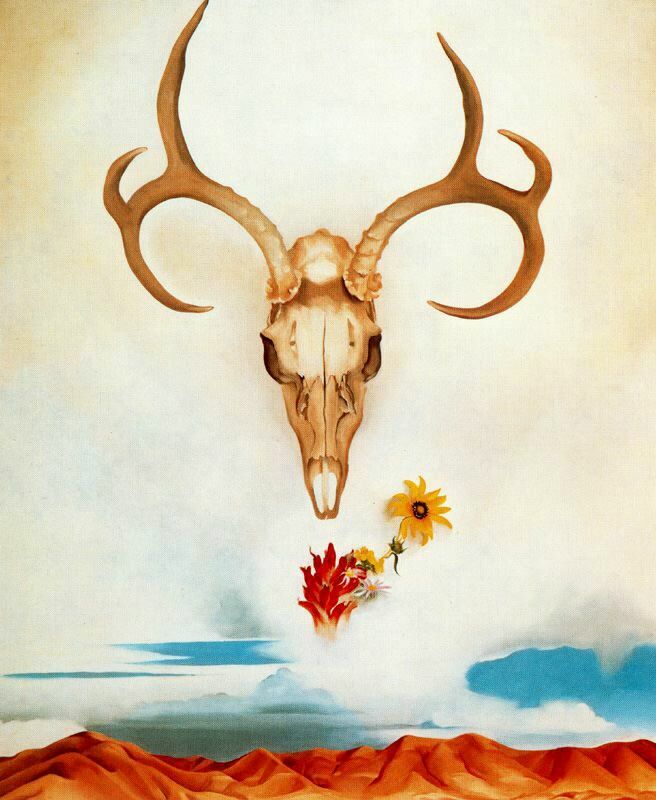 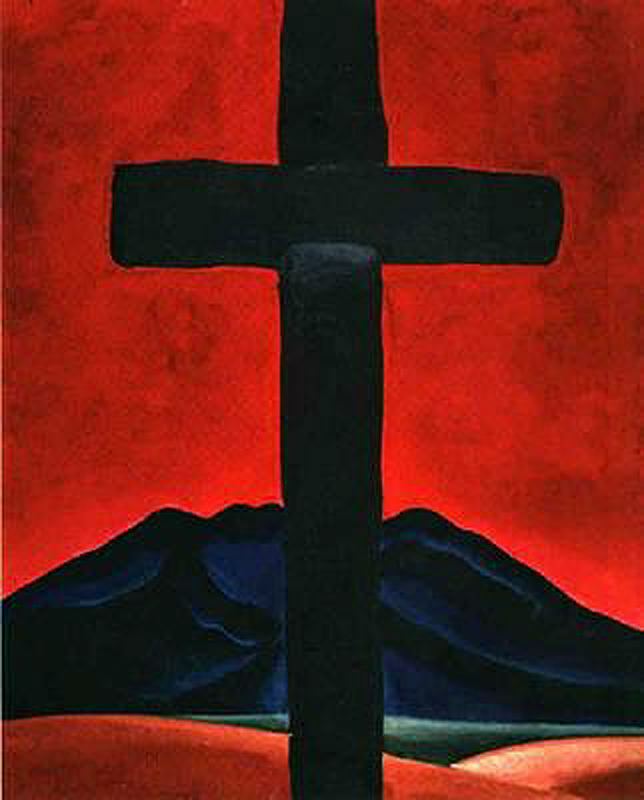 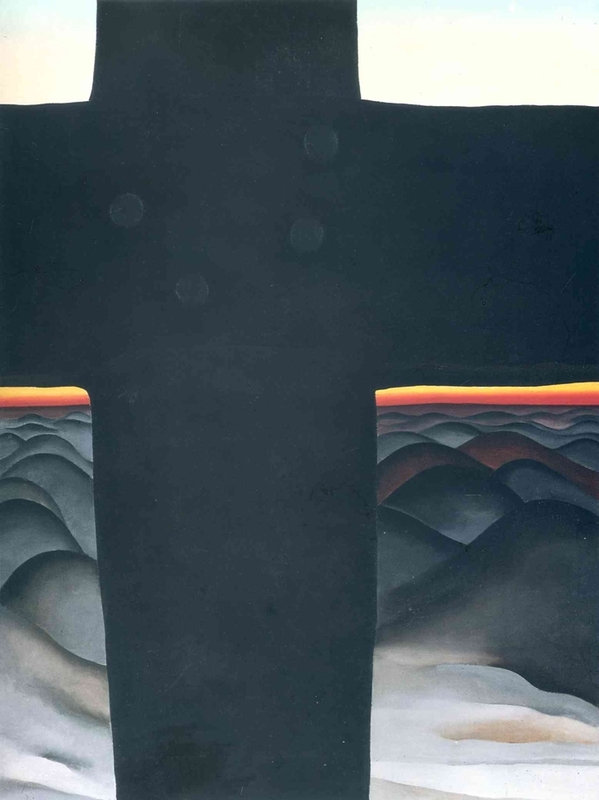 This environment inspired such paintings as Black Cross, New Mexico, 1929 and Cow's Skull with Calico Roses, 1931. 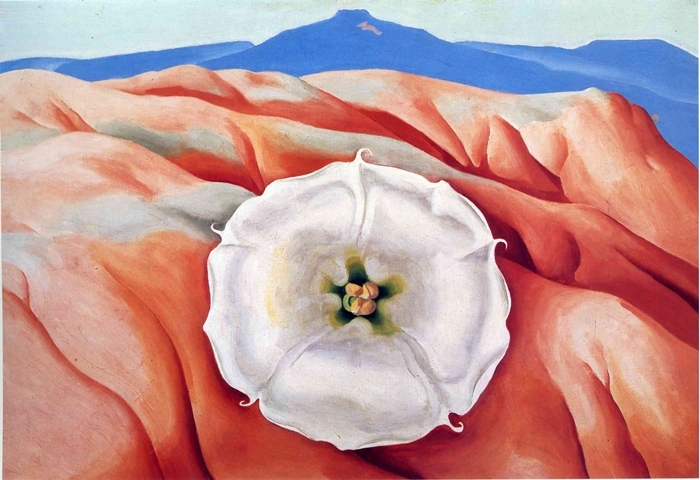 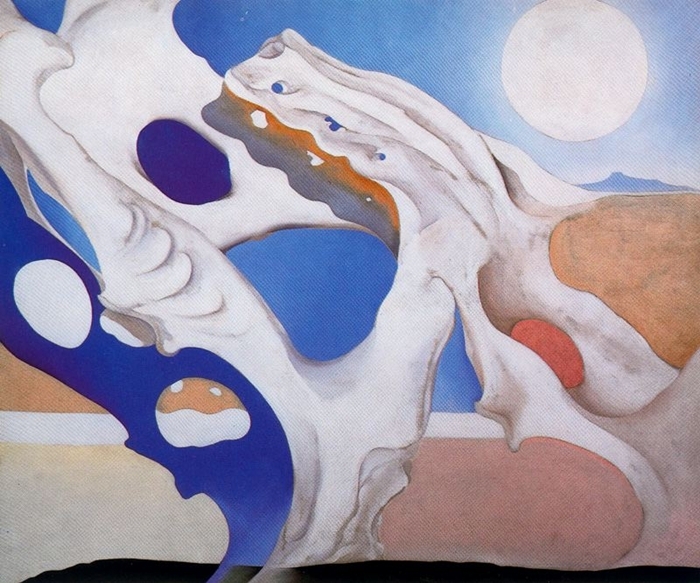 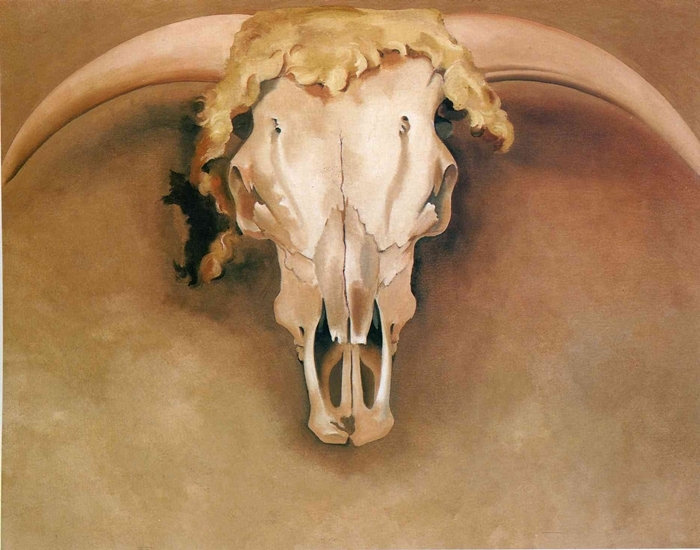 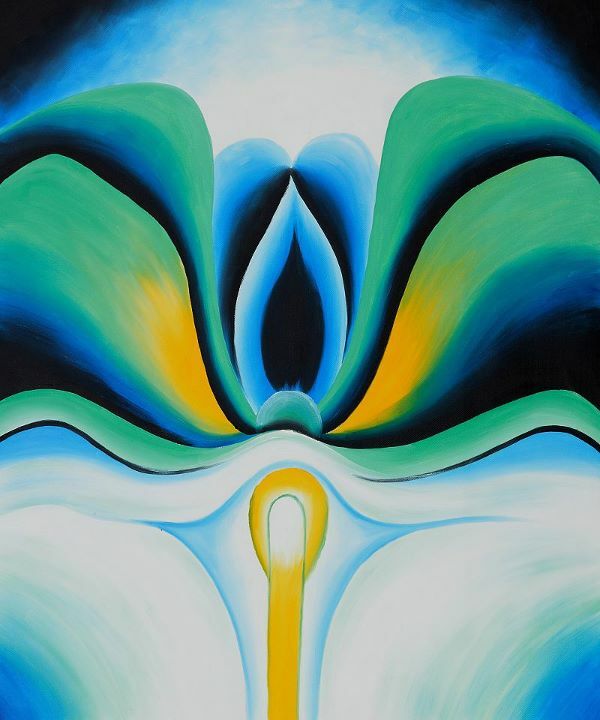 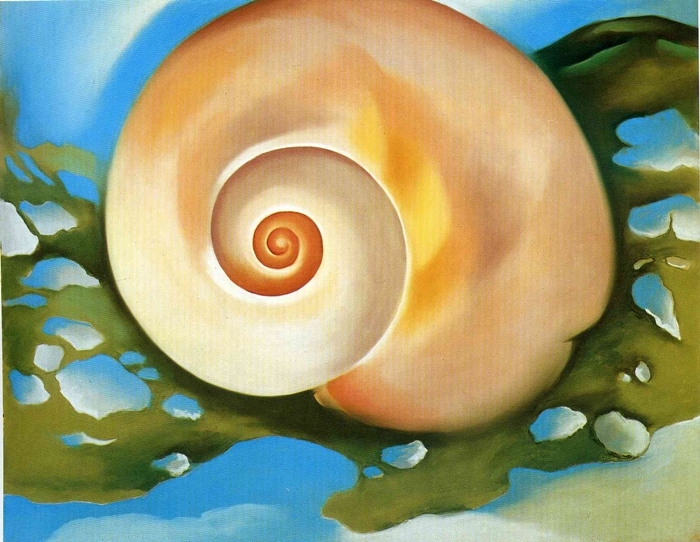 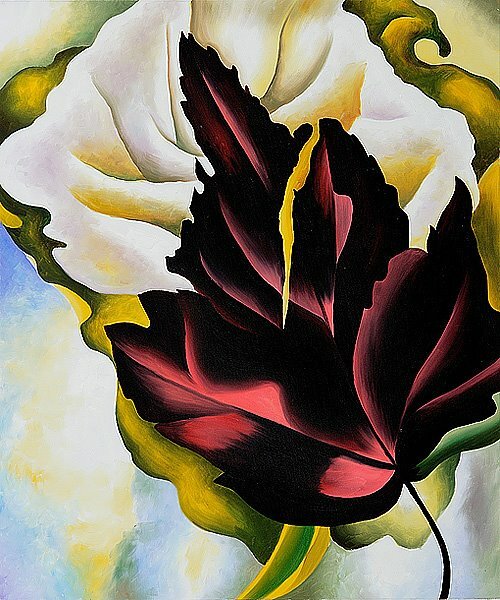 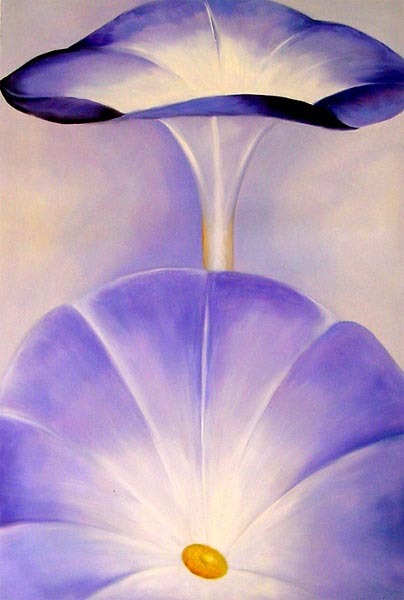 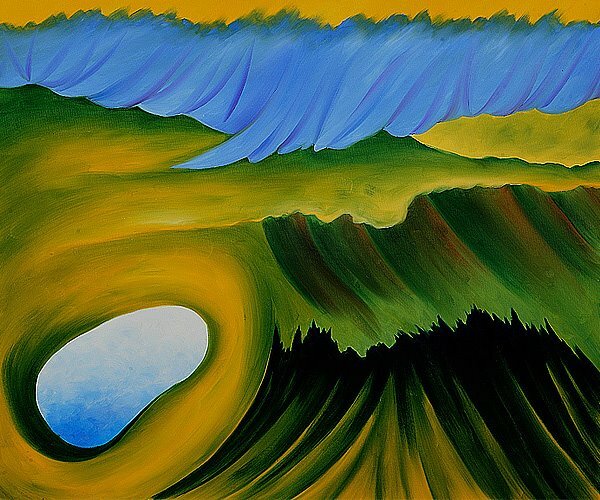 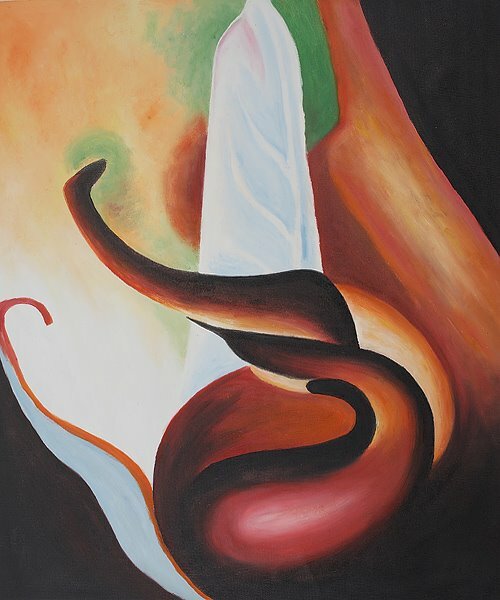 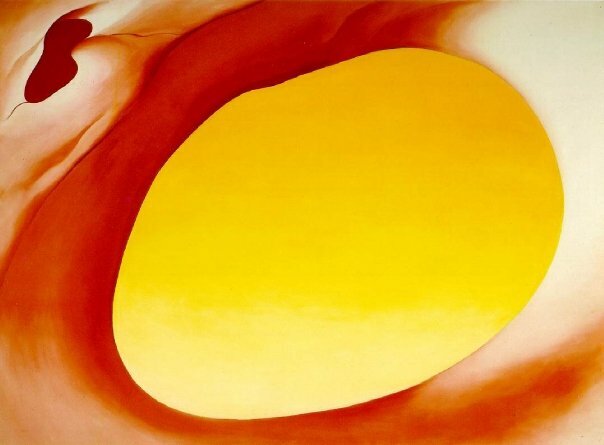 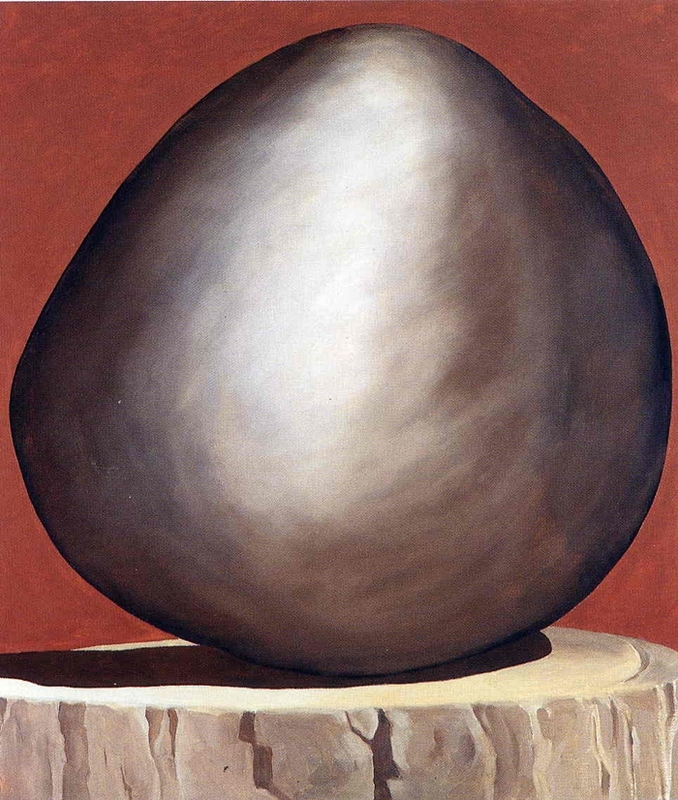 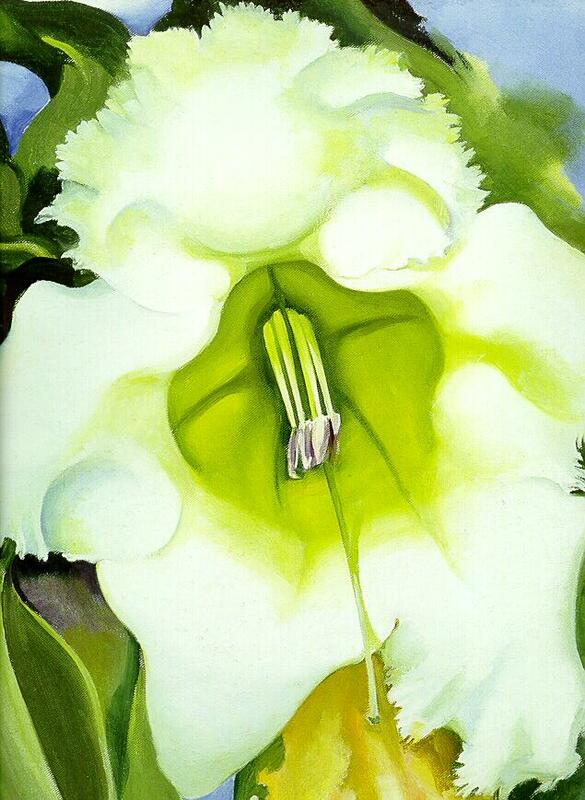 O'Keeffe died on March 6, 1986, in Santa Fe, Mexico. 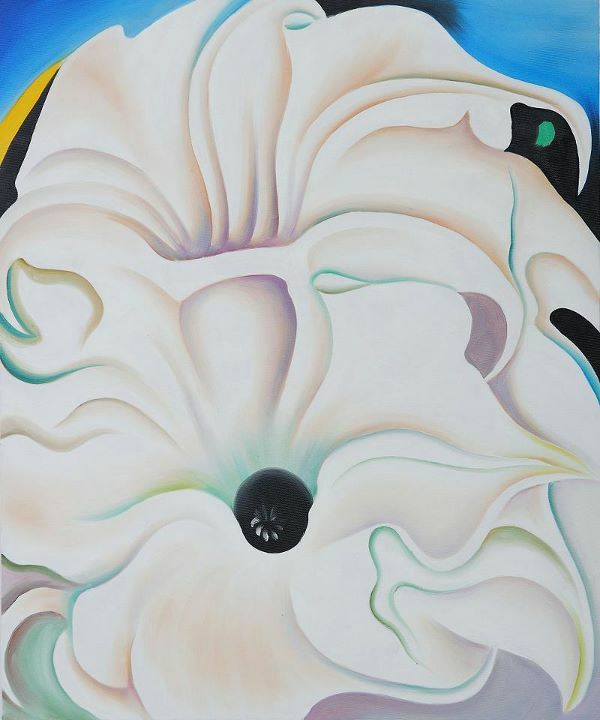 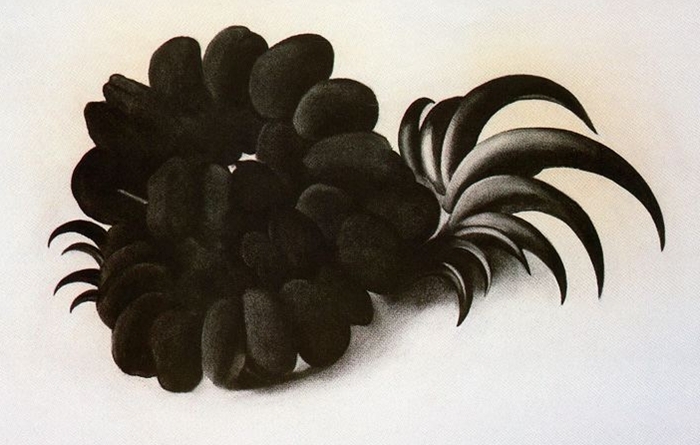 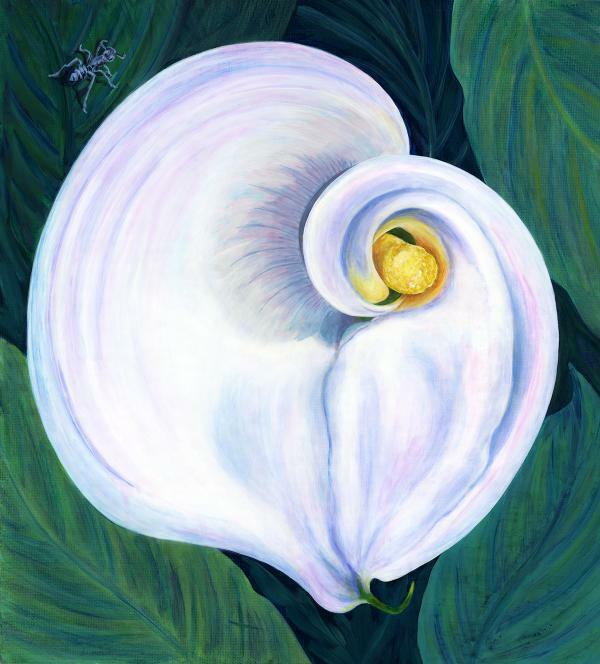 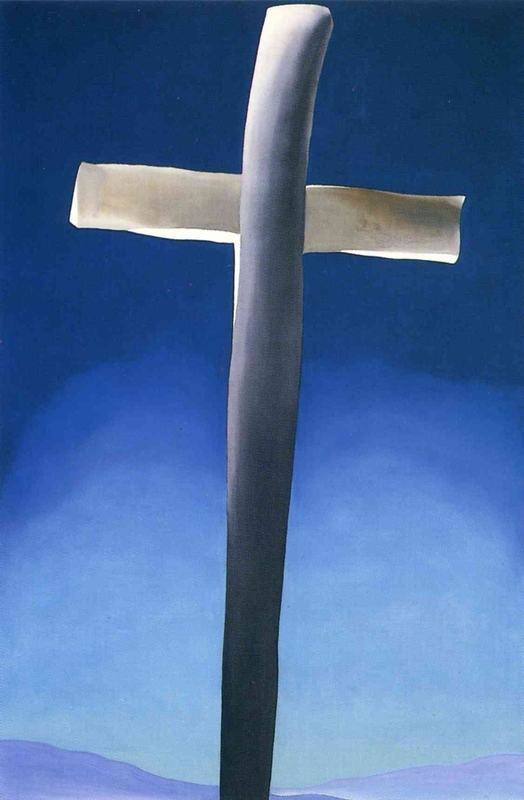 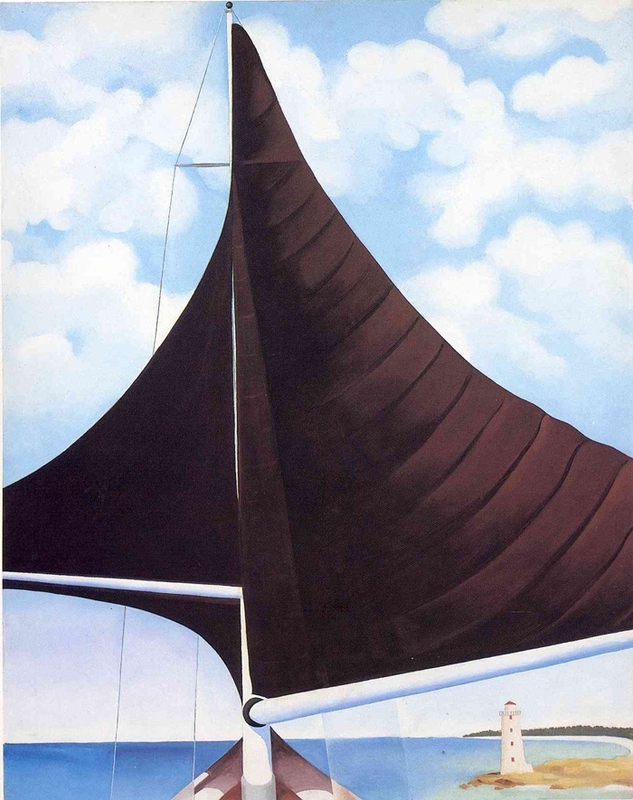 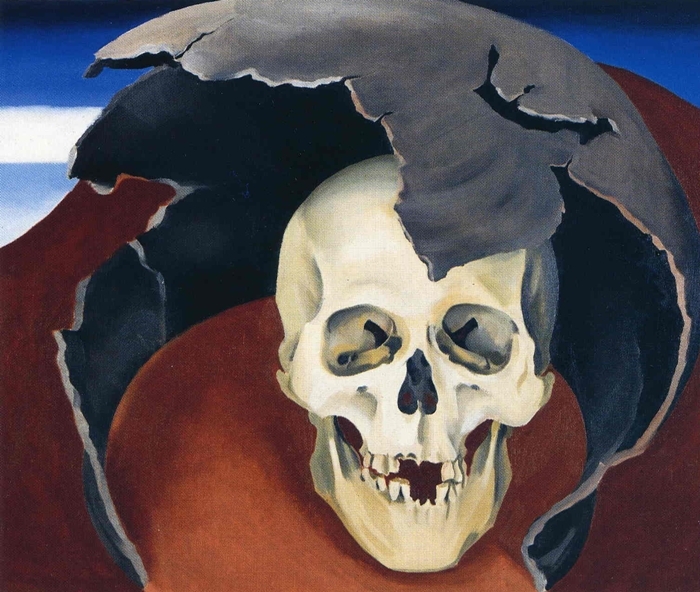 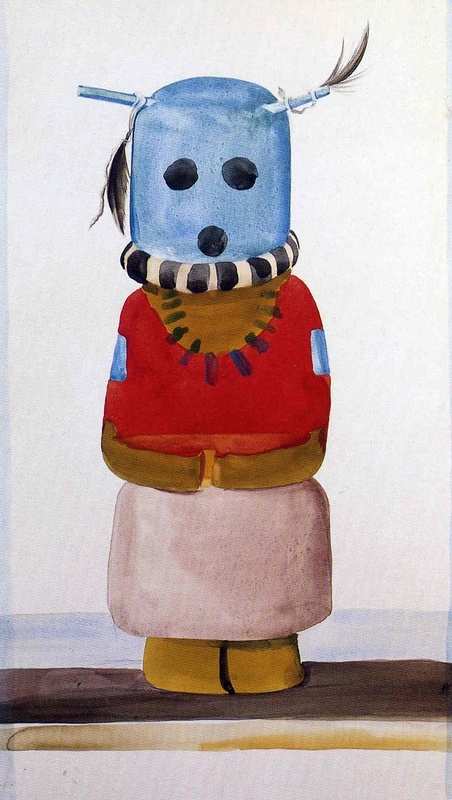 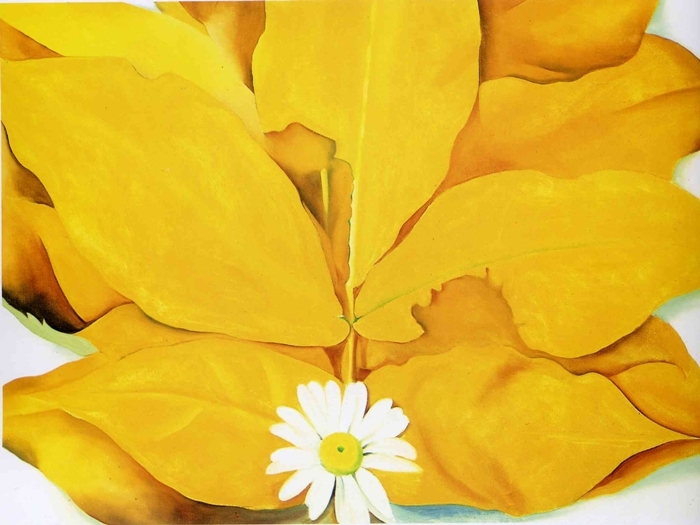 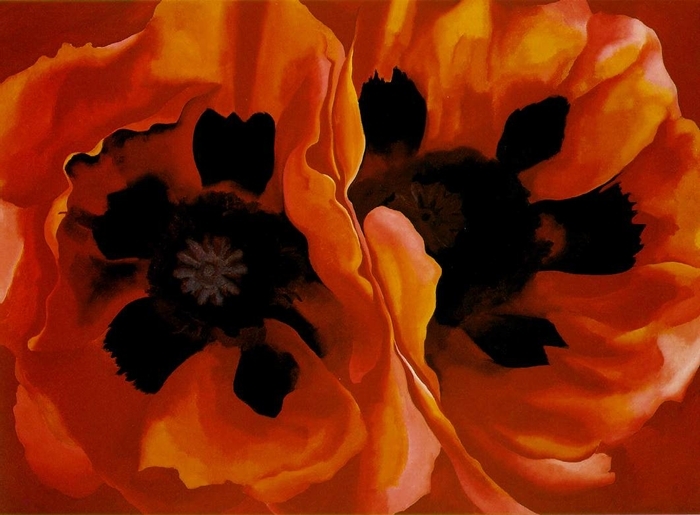 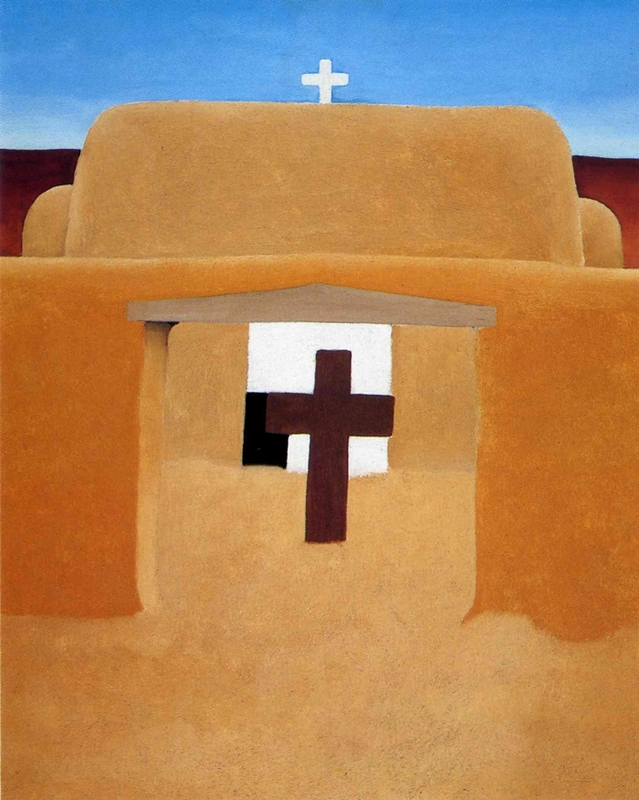 As popular as ever, her works can be seen at museums around the world as well as the Georgia O'Keeffe Museum in Santa Fe, New Mexico. 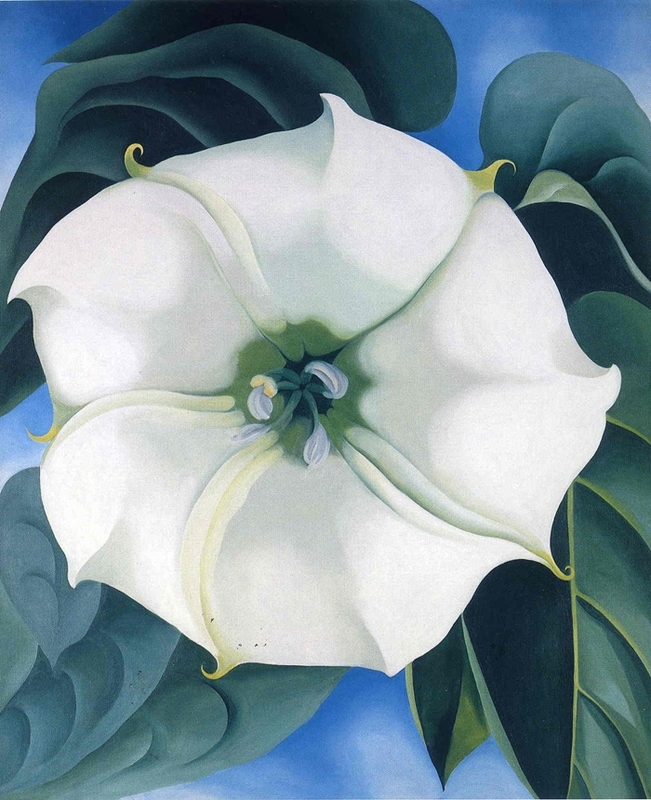 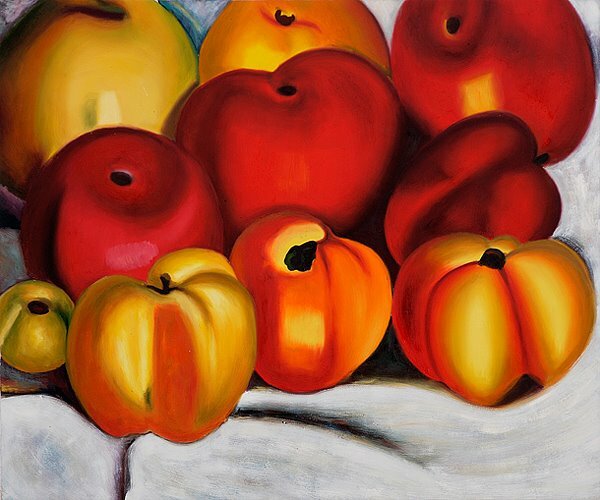 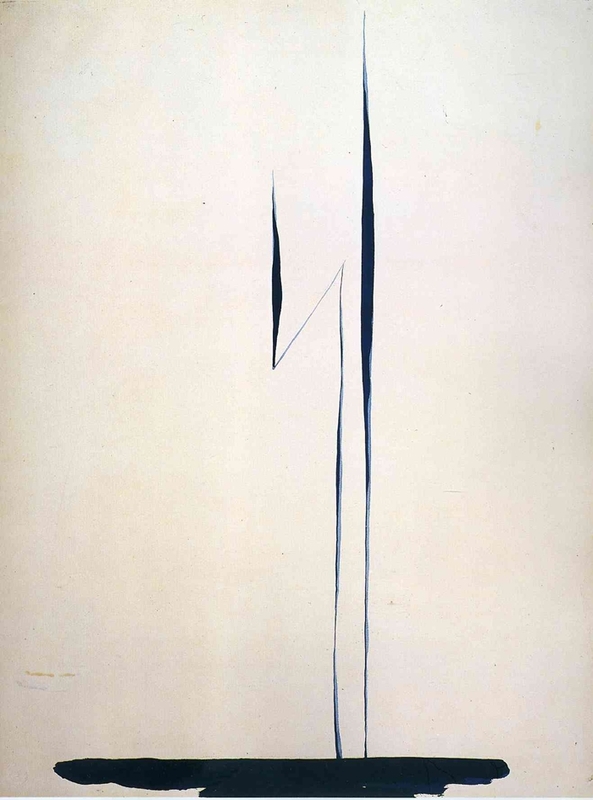 Georgia O'Keeffe, Elsie Driggs, Francis Criss, Charles Demuth, Edward Hopper, Charles Sheeler and Herman Trunk were prominent The Precisionist Movement, also referred to as Cubist-Realists, Sterilists and Immaculates. 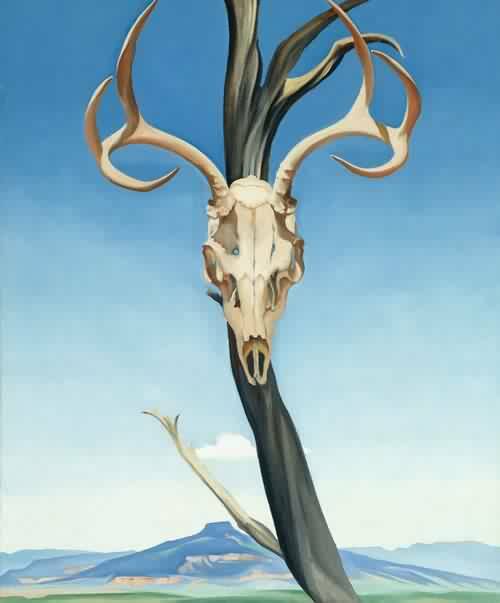 Precisionism was an artistic movement that emerged in the United States after World War I and was at its height during the inter-War period. 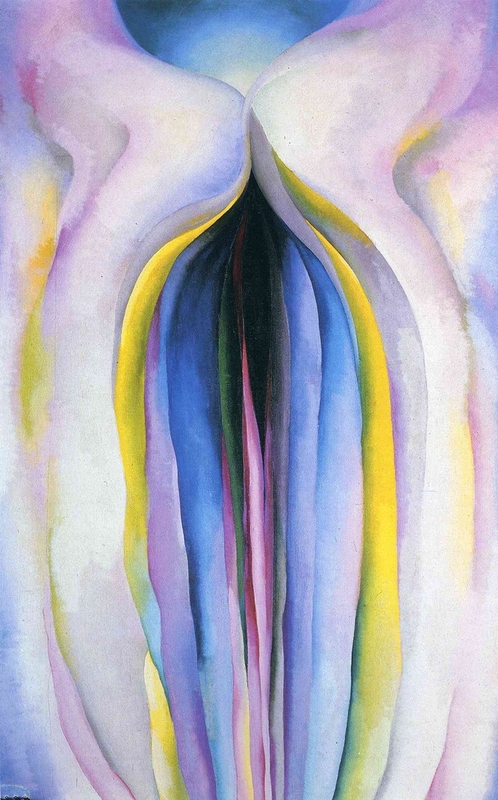 The term itself was first coined in the early 1920s. 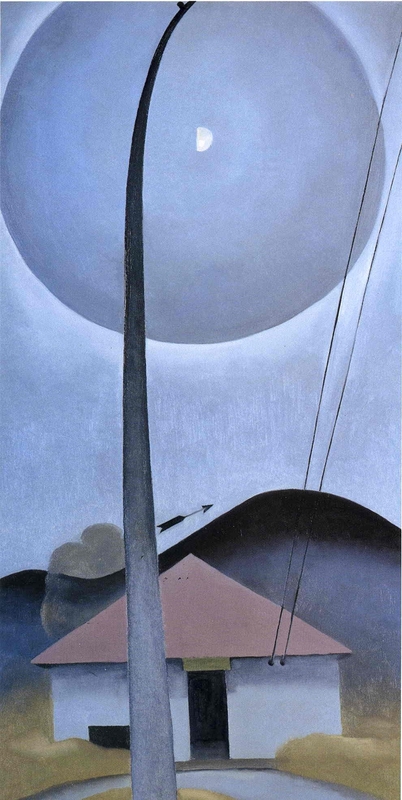 Influenced strongly by Cubism and Futurism, its main themes included industrialization and the modernization of the American landscape, which were depicted in precise, sharply defined, geometrical forms. 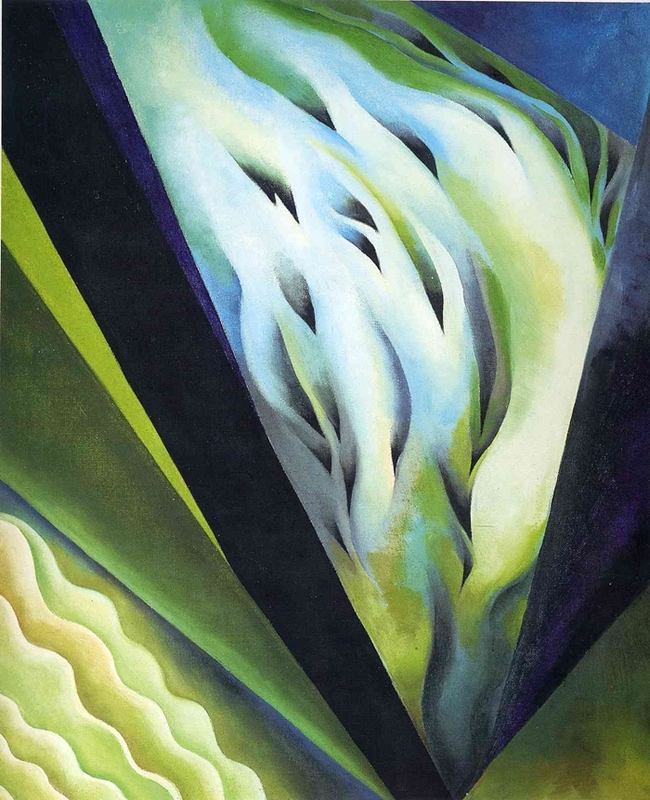 The themes originated from the streamlined architecture and machinery of the early 1900s. 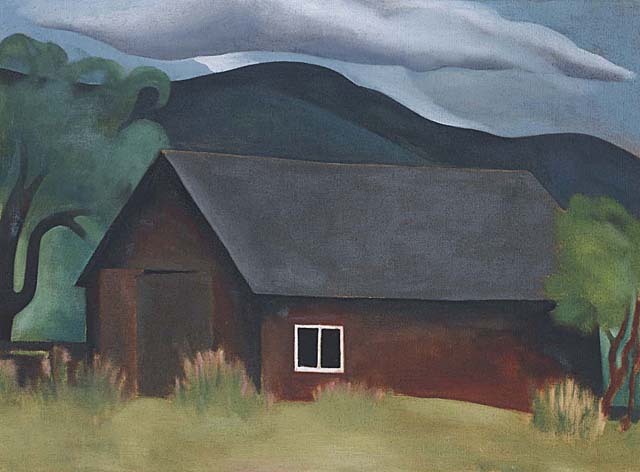 Precision artists considered themselves strictly American and tried to avoid European artistic influences. 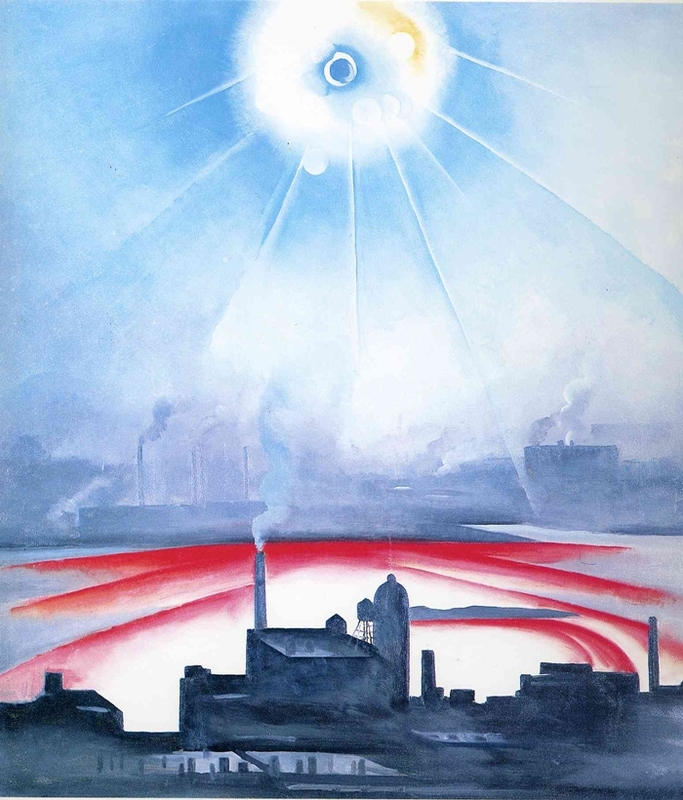 There is a degree of reverence for the industrial age in the movement, but social commentary was not fundamental to the style. 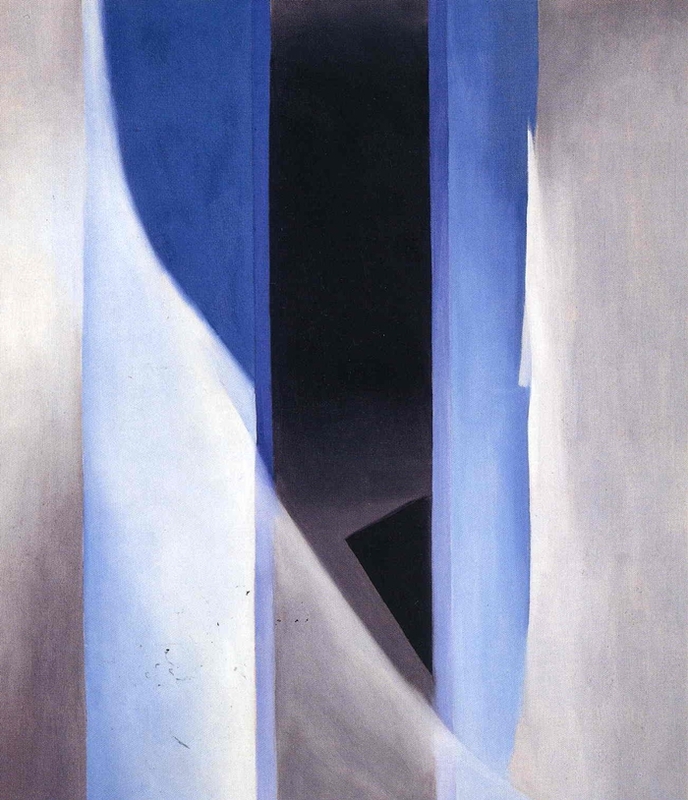 The degree of abstraction in the movement ranged considerably from Charles Demuth's famous The Figure 5 in Gold from 1928; to Charles Sheeler's work that sometimes verged on the photorealistic. 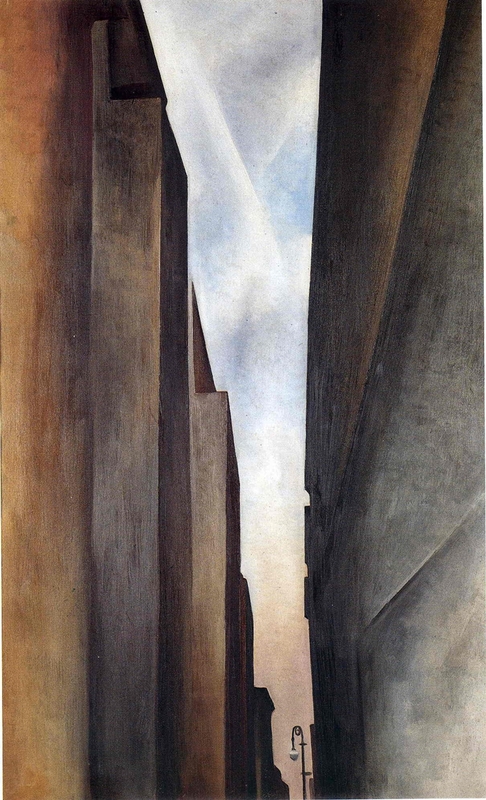 In addition to his paintings Charles Sheeler also created photographs of factories and industrial buildings as did his friend the photographer Paul Strand. 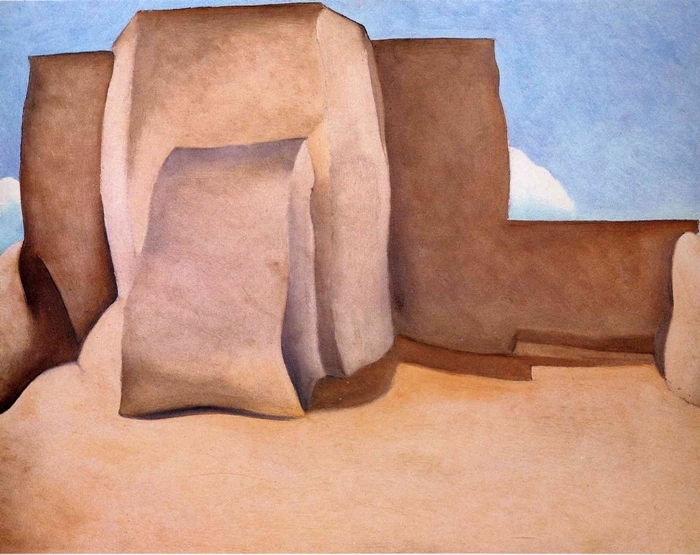 George Ault, Ralston Crawford, Preston Dickinson, Louis Lozowick, Gerald Murphy, Niles Spencer, Joseph Stella, Stuart Davis Peter Blume, Virginia Berresford, Henry Billings John Storrs and Miklos Suba, Francis Criss, and the photographer Paul Strand where other artists associated with the hard-edged style of Precisionism. 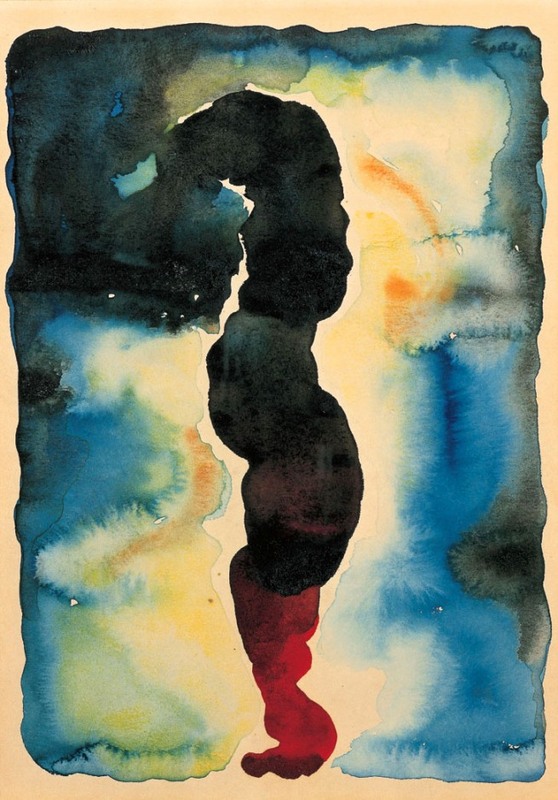 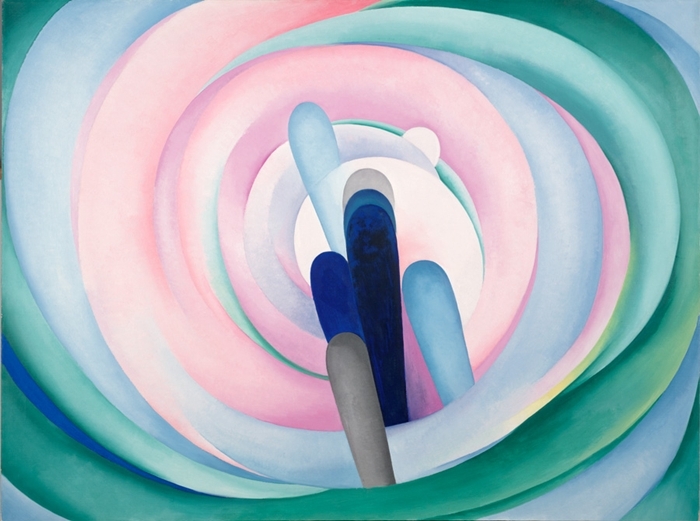 The movement had no presence outside the United States, and although no manifesto was ever created, the artists themselves were a close group who were active throughout the 1920s and 1930s, and exhibited together. 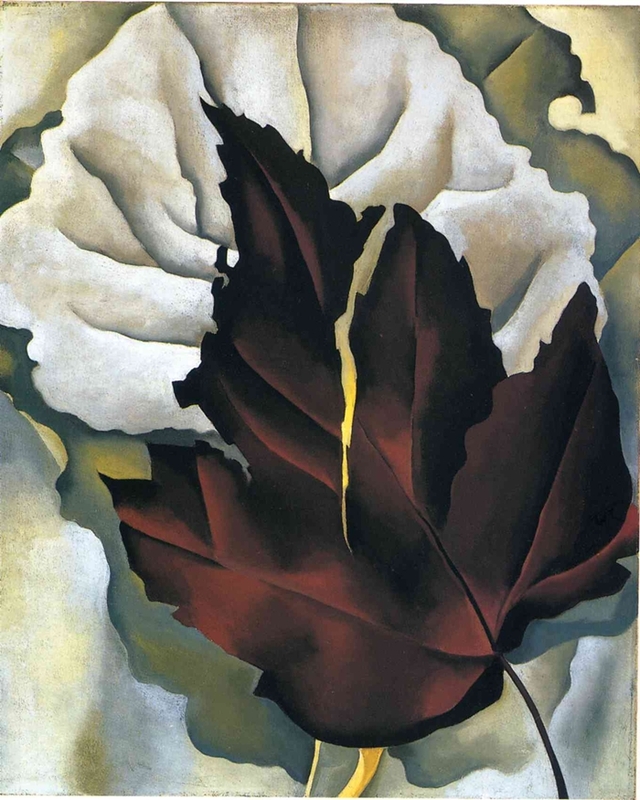 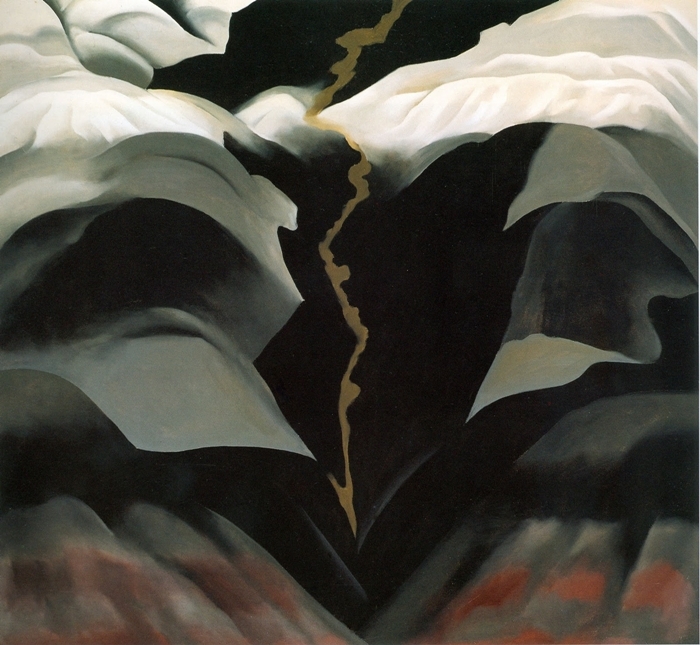 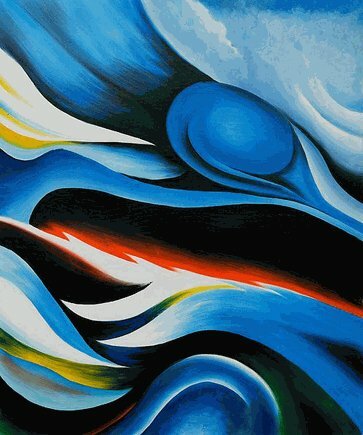 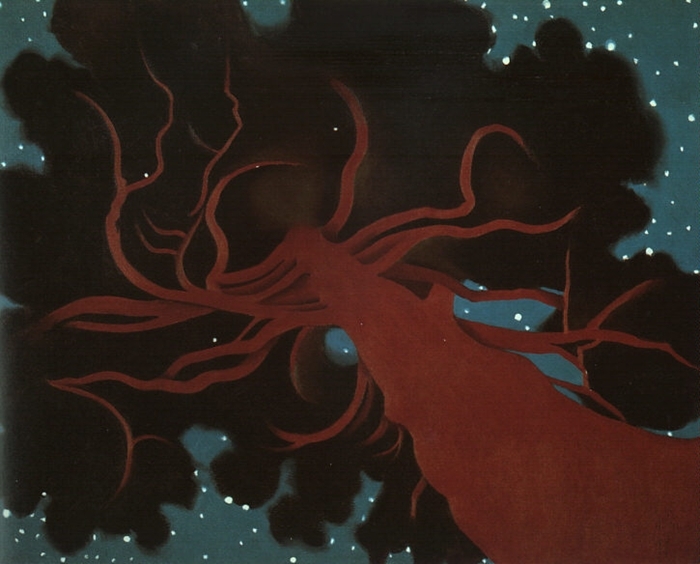 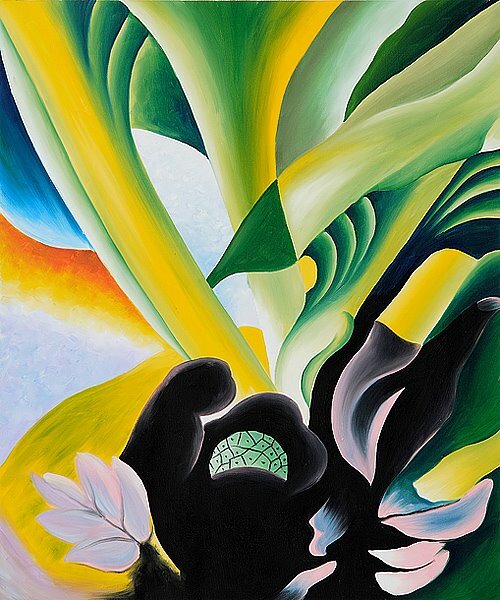 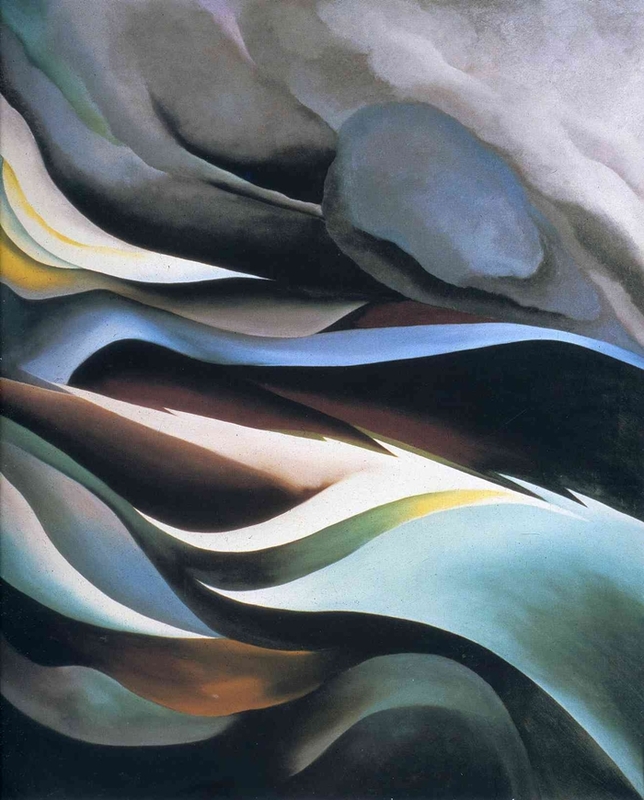 Georgia O'Keeffe, especially with paintings like New York Night 1928-29, remained connected to Precisionist ideals until the 1960s, although her best-known works are not closely related to Precisionism, and it would be inaccurate to state that O'Keeffe was entirely aligned with Precisionism. 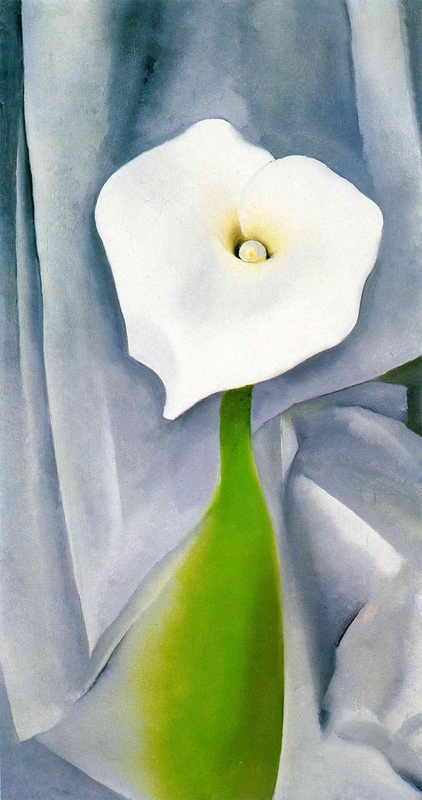 Her husband, photographer Alfred Stieglitz, was a highly regarded mentor for the group. 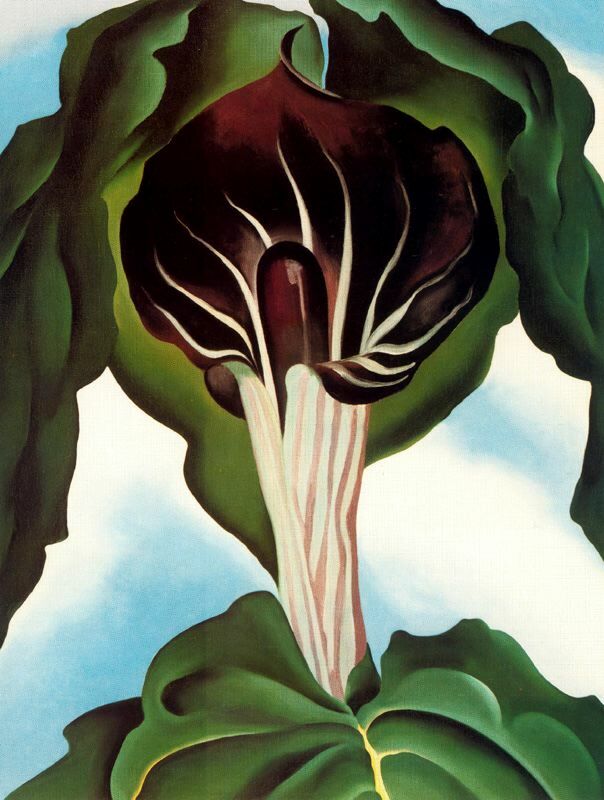 Their art would have an influence on the Magic Realism and Pop art movements.